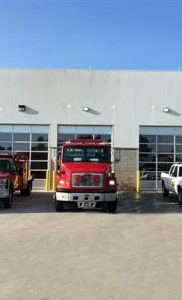 KPC began construction Fire Station 8 in Oconee County in April of 2018. 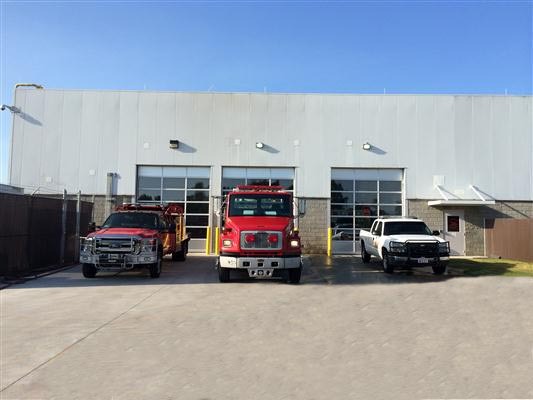 The new facility is a replacement station for the existing Barber Creek Fire Station 8. 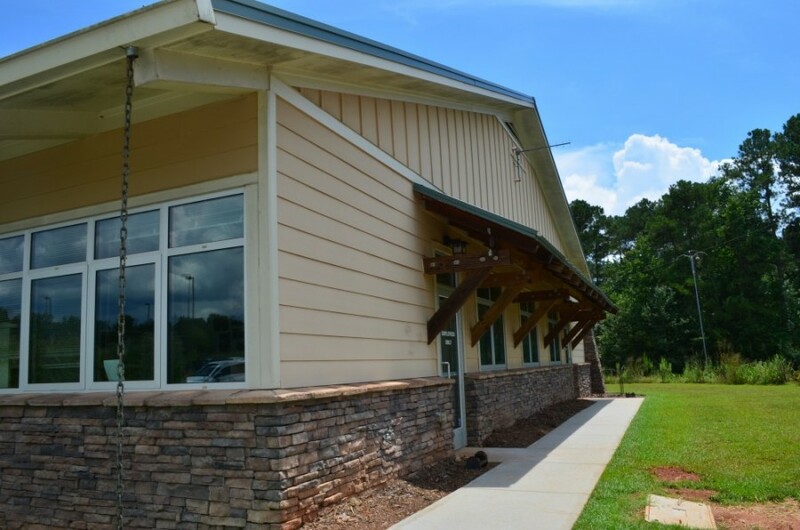 This new 9,286 SF one story building features three bays, kitchen and laundry facilities, and sleeping quarters with ten bunks. 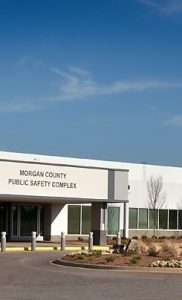 The facility will feature space for both the fire rescue team and emergency medical services. 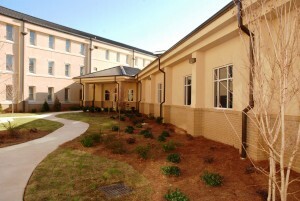 Scope of work included site work, wood framing, brick work and MEPs. 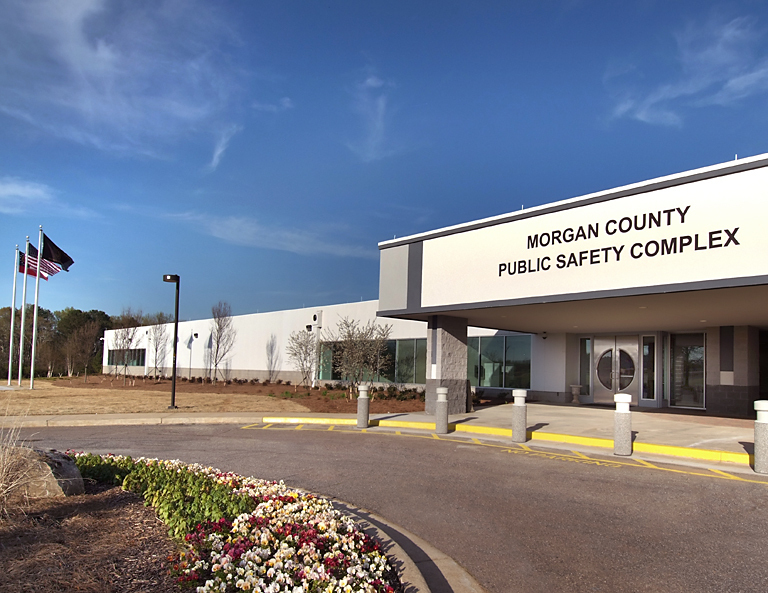 KPC was able to complete construction on this project in six months, ahead of the required substantial completion date. 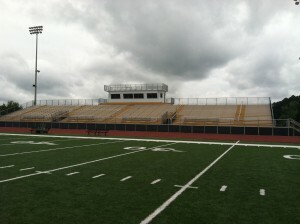 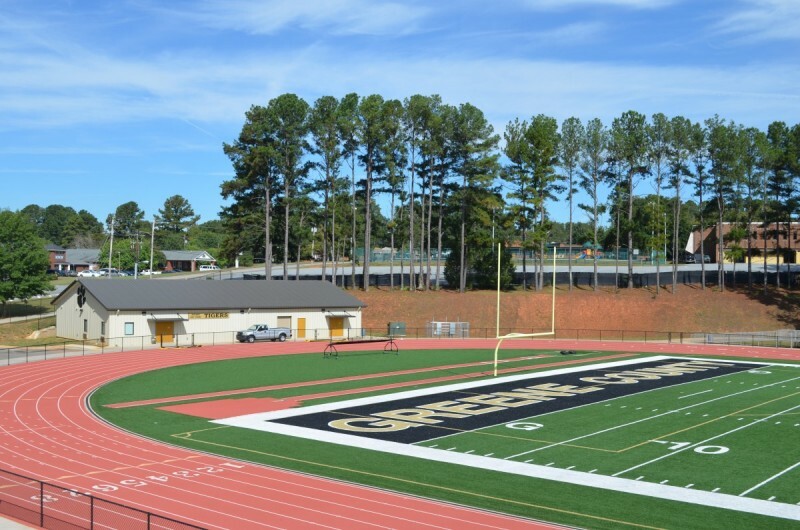 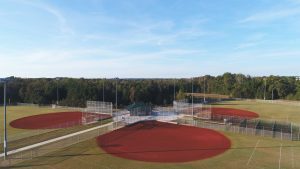 Construction included the creation of three new multi-purpose athletic fields with dugouts, as well as a concession building complete with restrooms. 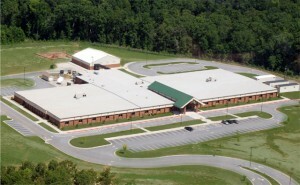 The project involved a total of 16.92 acres of site-work. 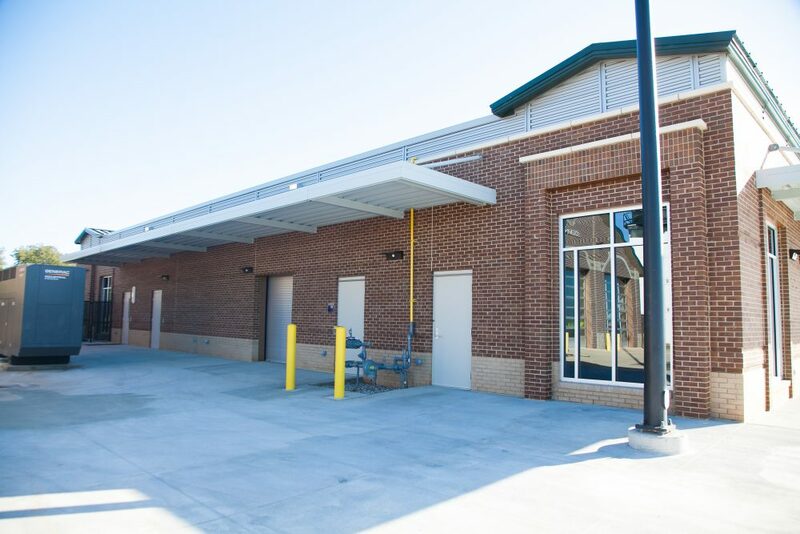 KPC completed a SPLOST funded construction project for Athens-Clarke County involving the demolition of an existing terminal building and construction of a 13,000 SF new commercial terminal. 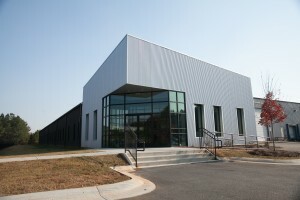 The new building also houses offices for airport administration and the on campus flight school. 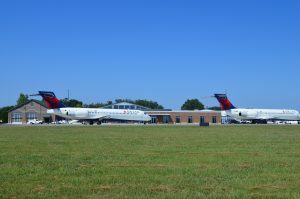 Outside, KPC poured a new concrete hardstand to allow large jets to park at the airport. 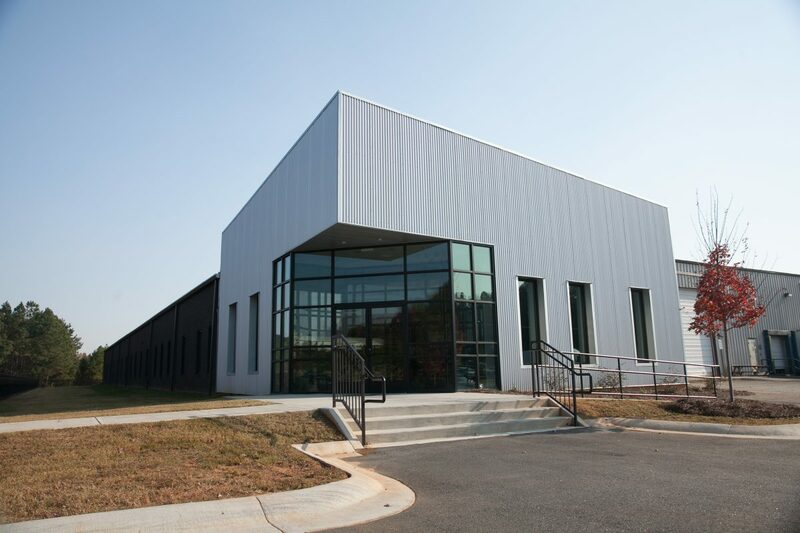 This building includes many sustainable design features and will achieve LEED Gold certification. 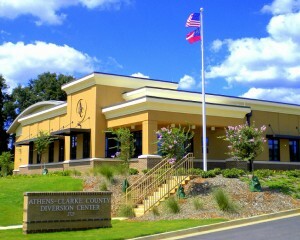 ALL major subcontractors and suppliers who worked with KPC on this project were local to the Athens-Clarke County area. 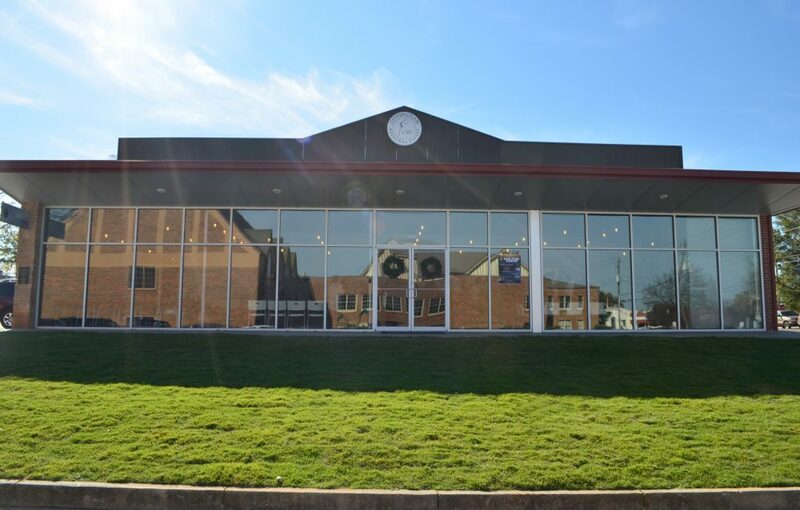 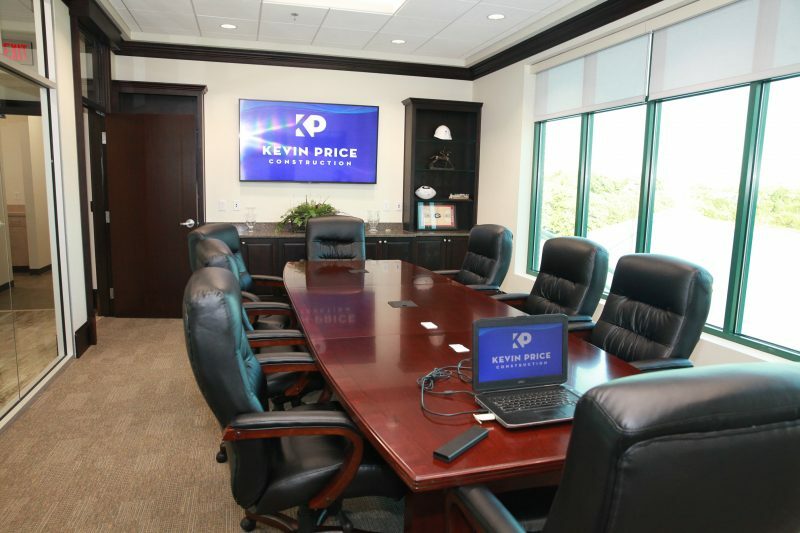 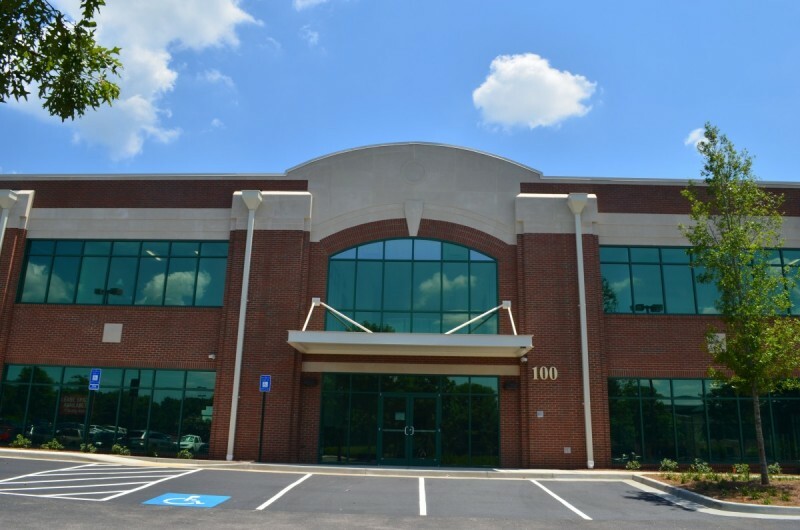 In June of 2016, Kevin Price Construction moved into a new building that they designed and built at 2500 Daniels Bridge Road in Athens, GA. KPC inhabits the offices on the second floor of the building and the first floor features commercial office space. 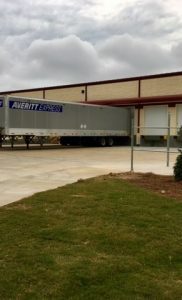 The new building is 18,010 sq ft and 40 feet high. 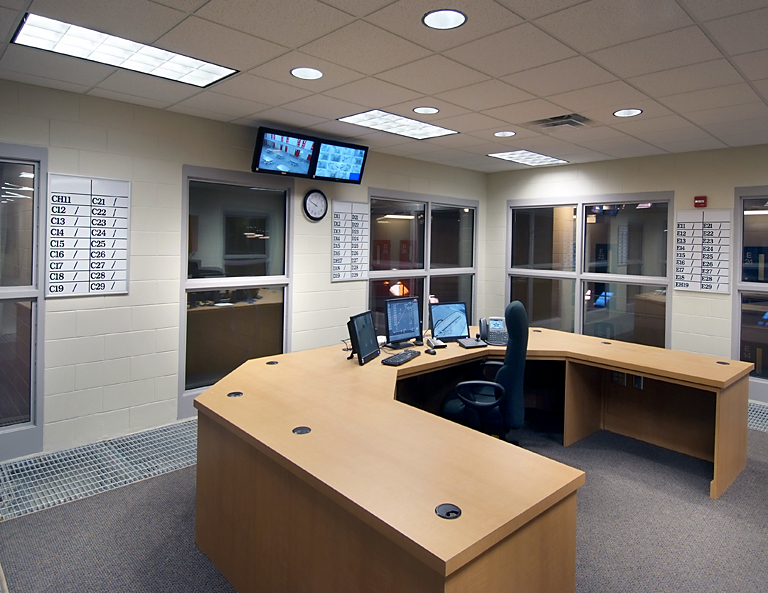 All offices feature windows with views. 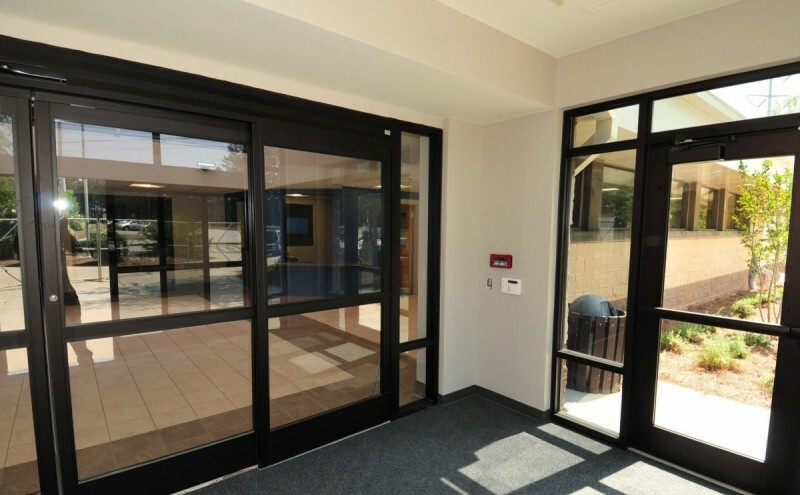 The building is equipped with an advanced security system that requires keycard verification for entry. 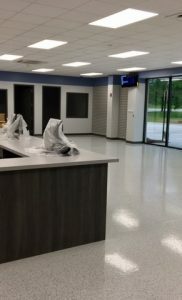 Kevin Price Construction completed a fast paced Design/Build CM at Risk project involving a renovation and addition at McCann Aerospace Machining in Athens, GA. 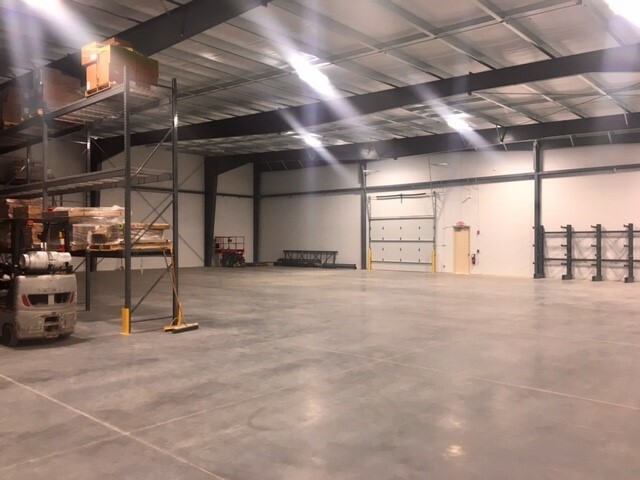 This project consisted of a 10,000 SF lean-to, pre-engineered building for new office space as well as a 68,000 SF pre-engineered, free-standing structure for manufacturing. 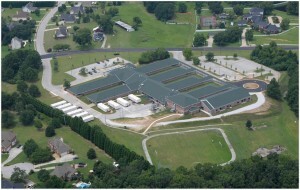 Additionally, this project required construction of a large site grading and drainage project along a stream buffer. 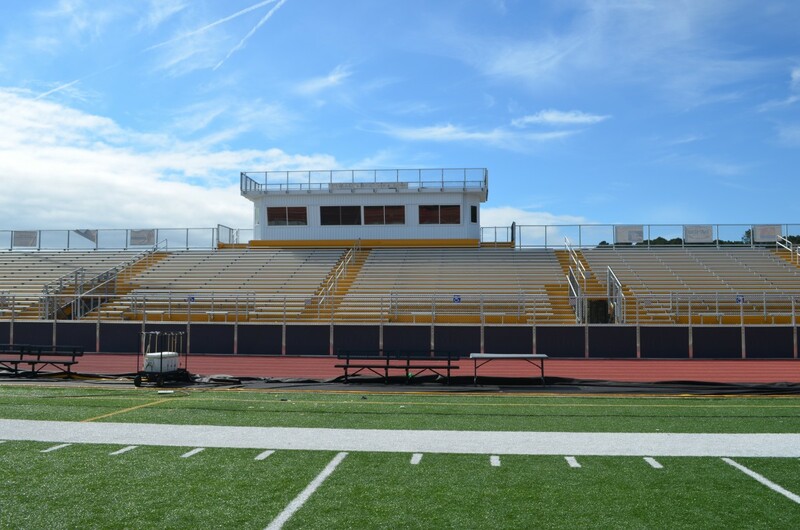 Construction on this project began in July of 2015 and the project reached substantial completion by October of 2015. 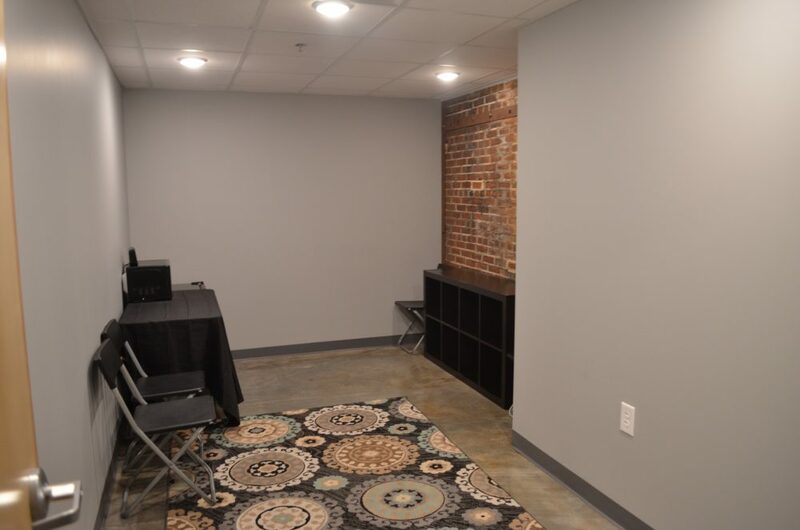 This project involved a renovation and addition to a historic building on Washington Street in Covington. 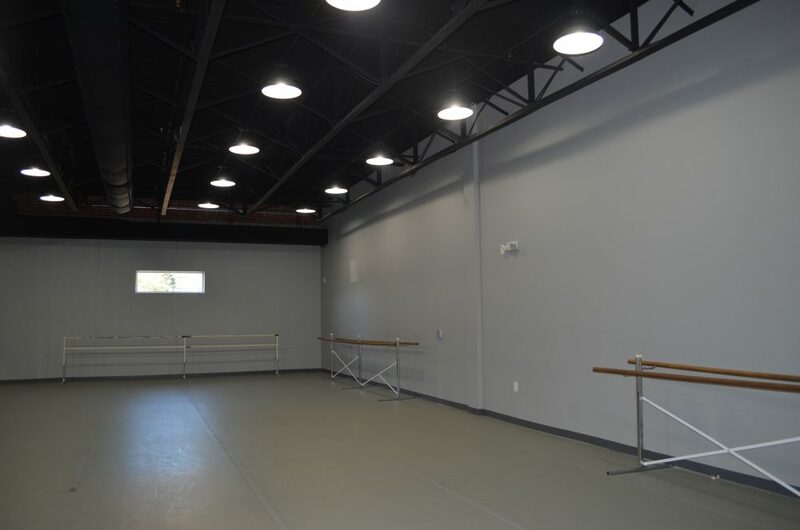 The building was previously a colonial grocery store that we renovated into new dance studios for the Covington Regional Ballet. 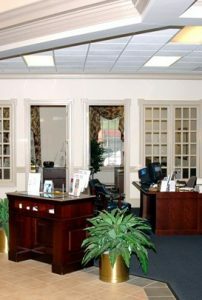 As this was a historic building, careful consideration and planning was required to preserve many of the buildings original features. 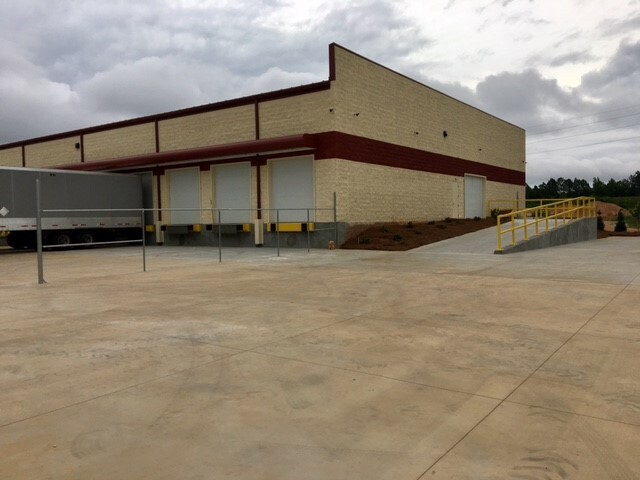 KPC took great care to ensure that the addition portion of the project blended seamlessly with the existing exterior brick. 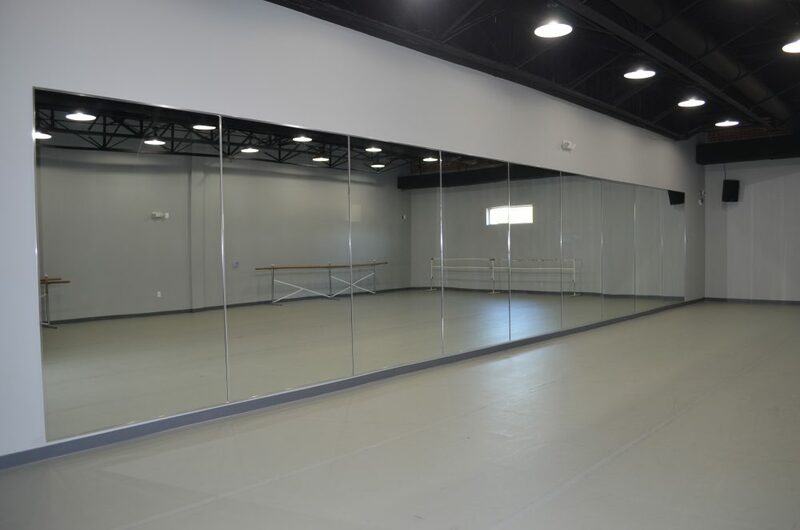 Other unique aspects of this project included the installation of energy efficient lighting, sprung floors in the dance studios, and a movable partition that enables a large studio to be separated into two smaller studios. 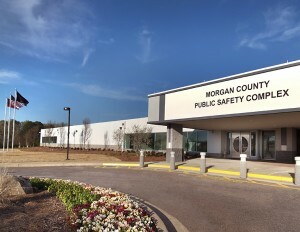 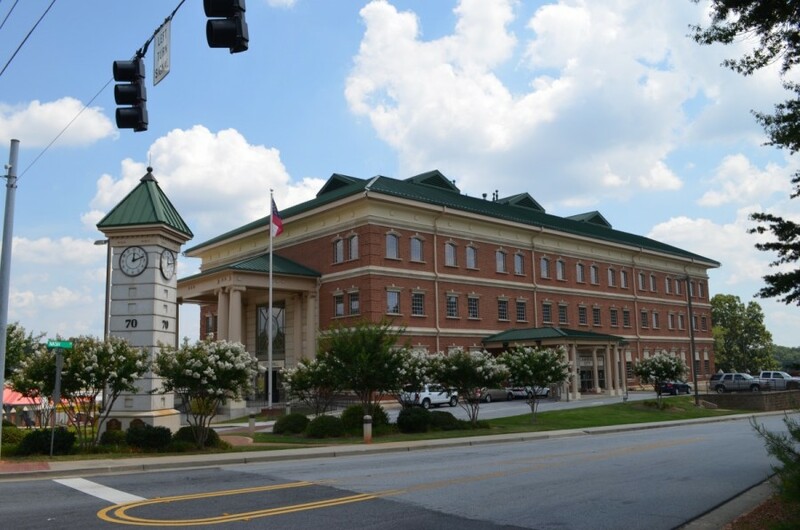 A 186,00 SF Design/Build CM at Risk project involving the renovation of the Morgan County Public Safety Complex in Madison, GA. 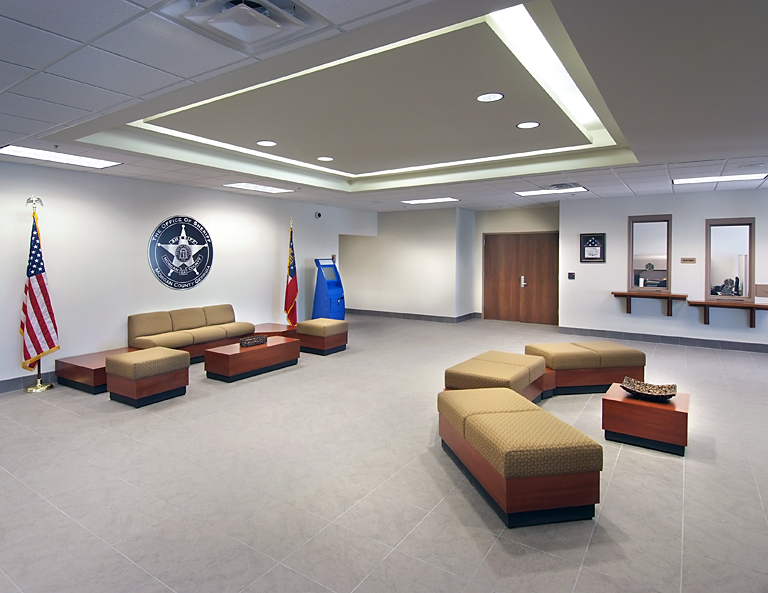 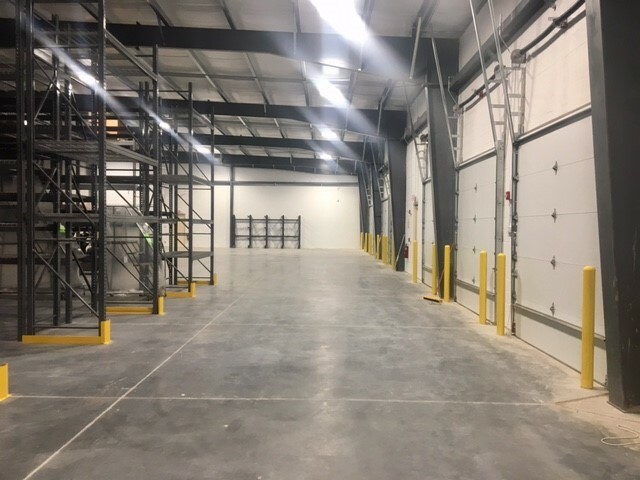 This project required KPC to convert an existing building that consisted primarily of warehouse space into Fire and EMS Headquarters. 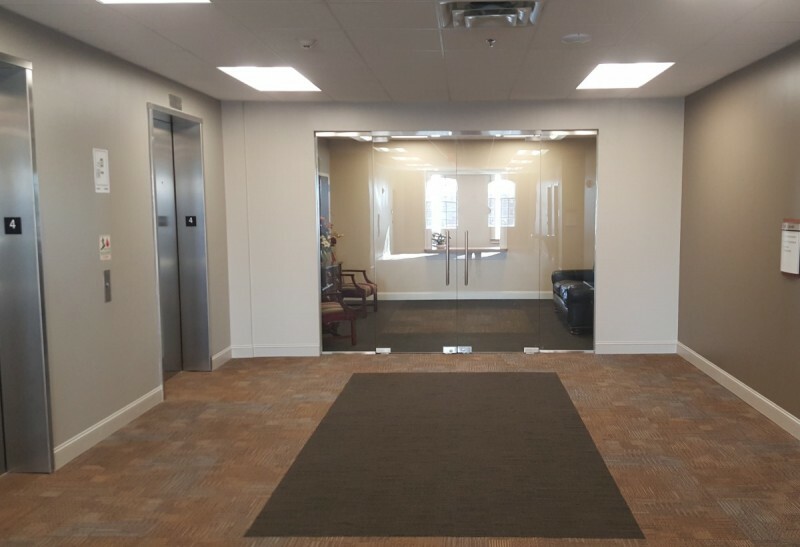 62,304 SF interior renovation of 4 story city hall building, including mechanical, elevator. 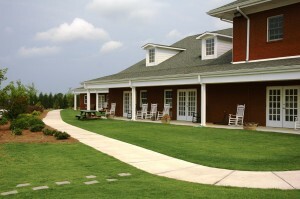 This project was a multi-phase, owner occupied remodel. 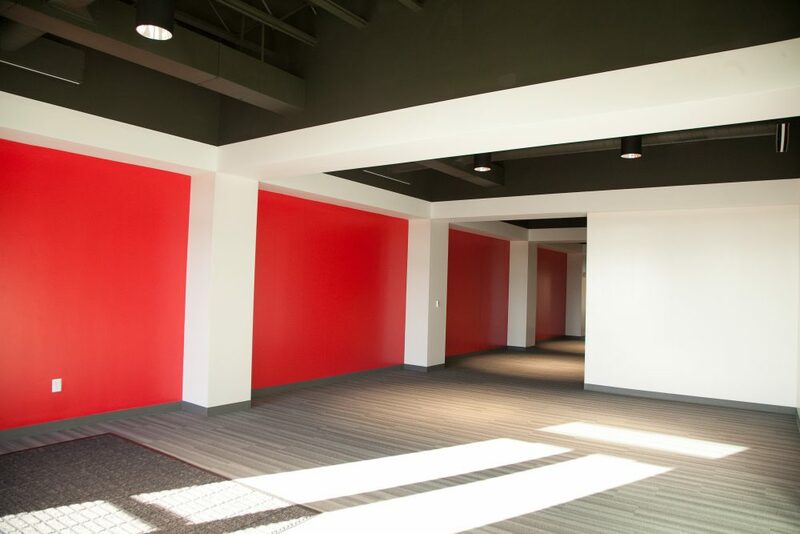 Work consisted of new and renovation sections of a 15 year old building. 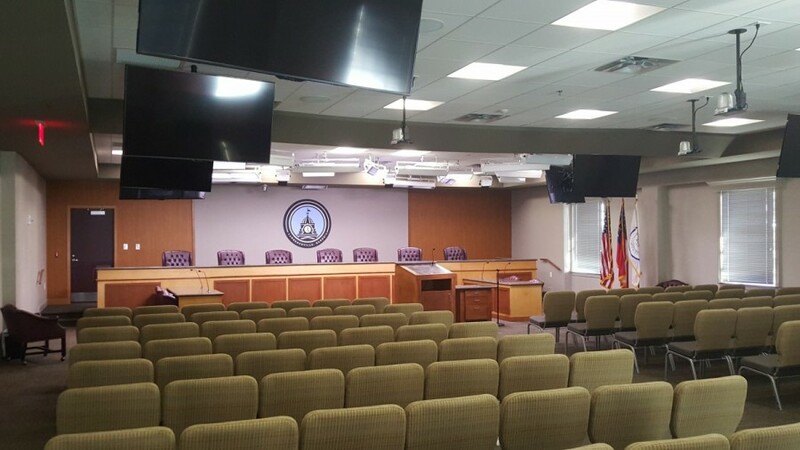 The 4th floor was a total buildout for the Mayor’s office and staff and a public meeting room with studio lighting. 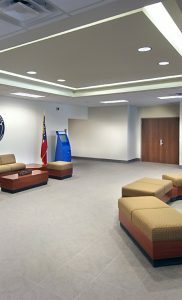 The 2nd Floor was renovations where KPC had to work around a fully operational government building that is open to the public. 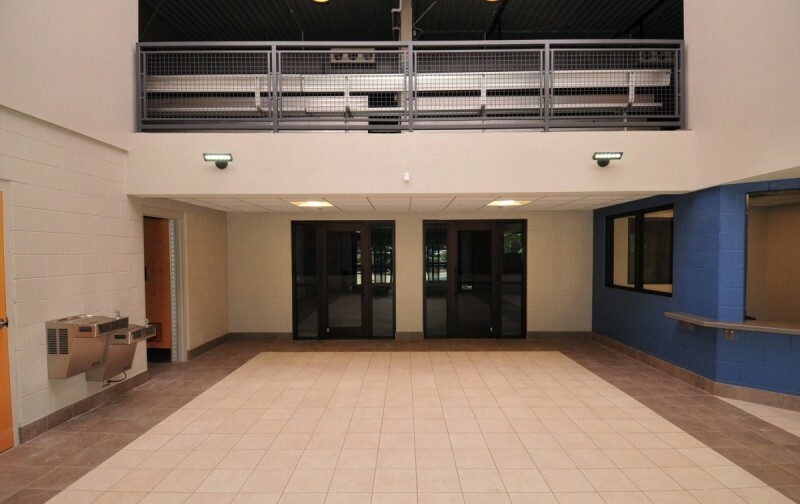 The 1st and 3rd floors were the remainder of the project with some door and hardware work, and fire suppression system. 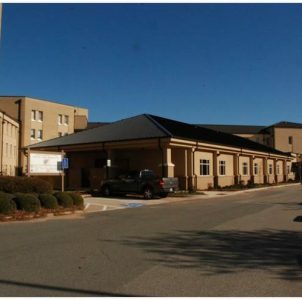 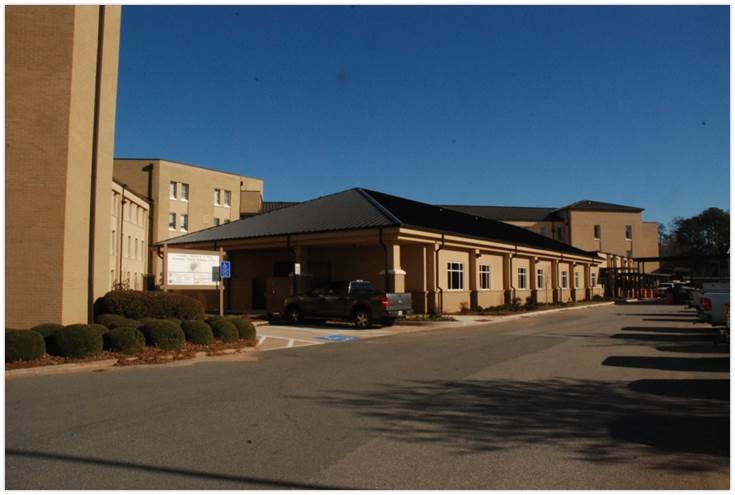 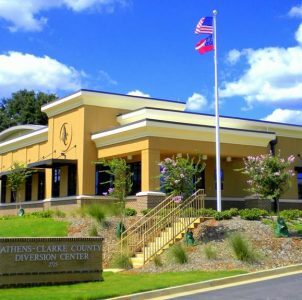 KPC served as the general contractor in the construction of a new, 13,500 SF medium security dormitory facility for Athens-Clarke County. 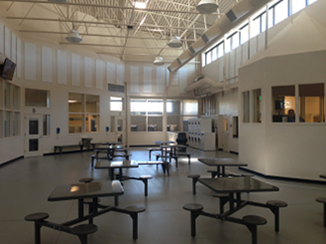 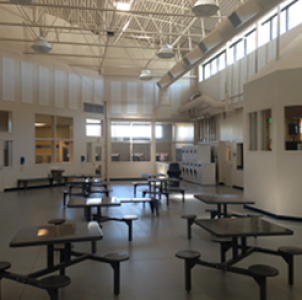 This facility was built to house non-violent inmates sentenced to a work release program. 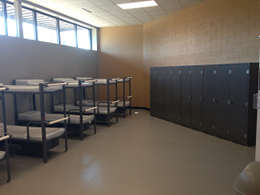 The steel, masonry, and EIFS facility includes dormitory space, restrooms, laundry, vending & food service areas. 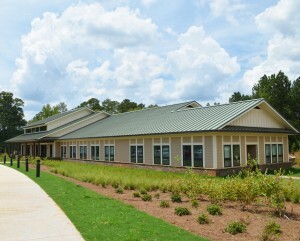 This project achieved LEED certification in November of 2012. 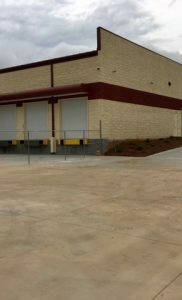 A design-build project involving the construction of a 1 story, 26,000 SF industrial warehouse complete with offices, a showroom, and a training room. 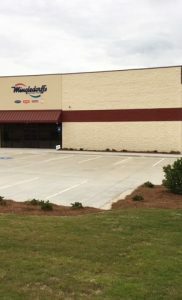 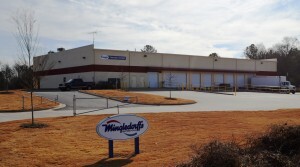 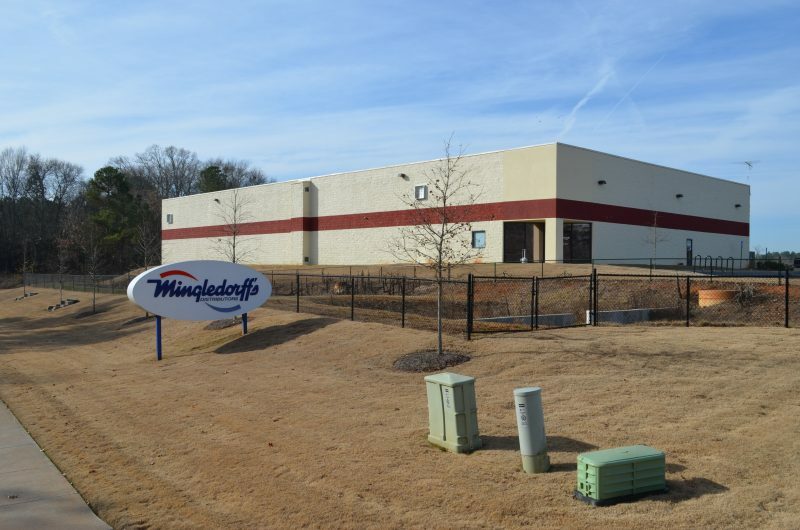 This is the second project Kevin Price Construction has completed with Mingledorff’s. 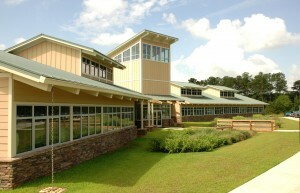 KPC built a new Wildlife Resources Building for the Georgia Department of Natural Resources in Social Circle, GA. 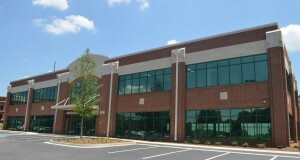 This building was new construction and the project was completed within 8 months. 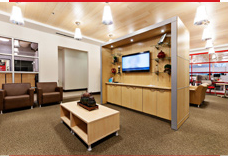 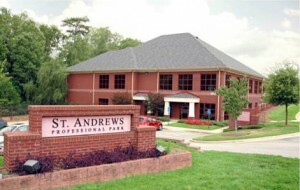 Work consisted of the addition of an 11,500 SF wood frame building and demo and renovation of existing offices. 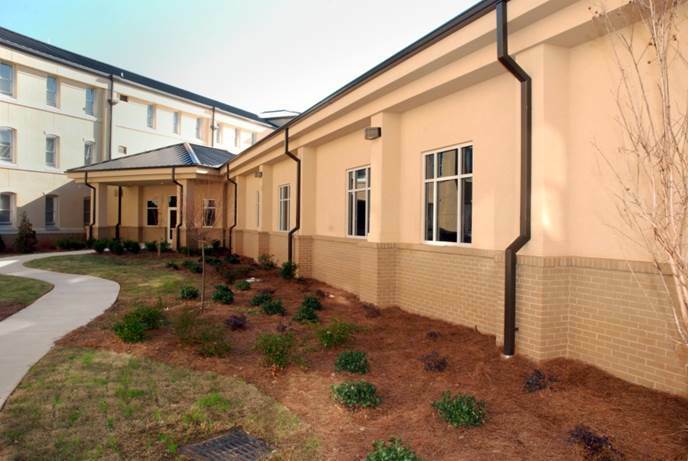 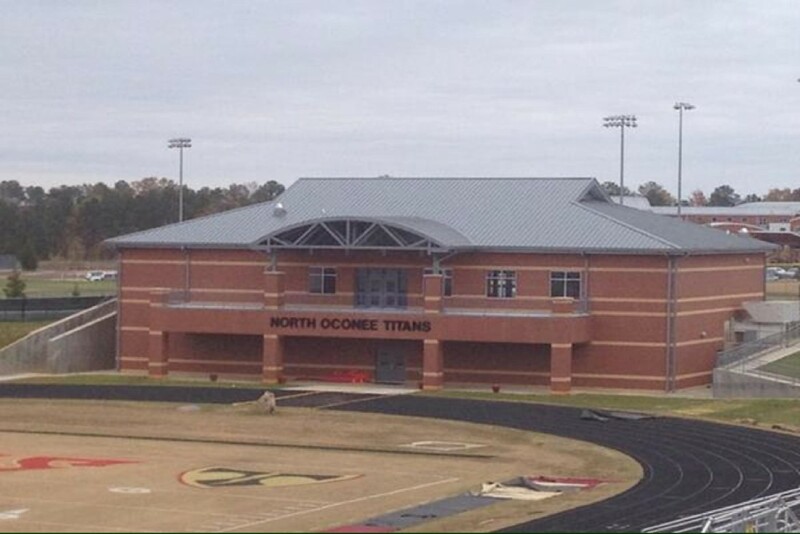 This project consisted of a 10,000 SF renovation and addition project to Shoal Creek Elementary School in Conyers, GA. 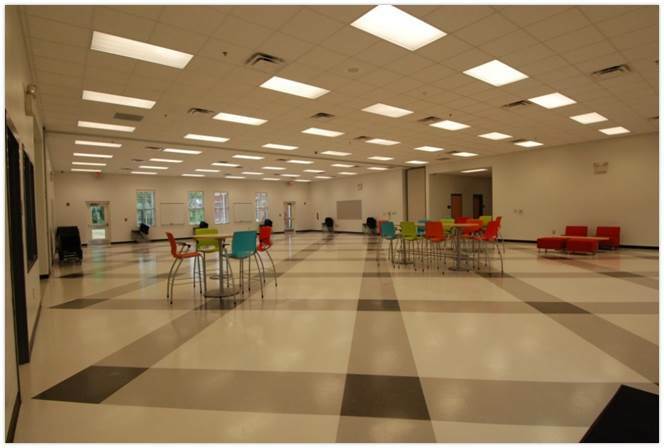 Scope of work included an 8 classroom addition, ceiling replacement, HVAC upgrades, and site work. 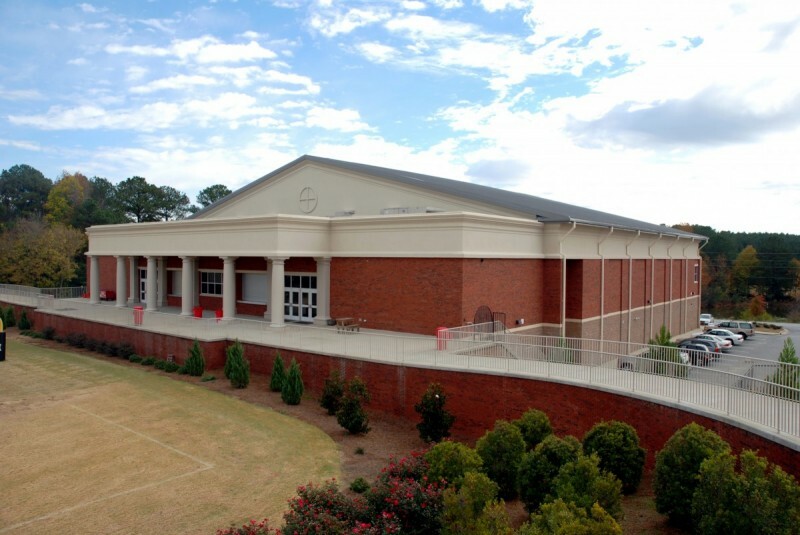 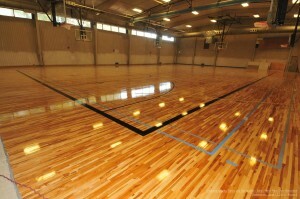 KPC recently completed a renovation of the oldest gymnasium in the Gwinnett County Park System. 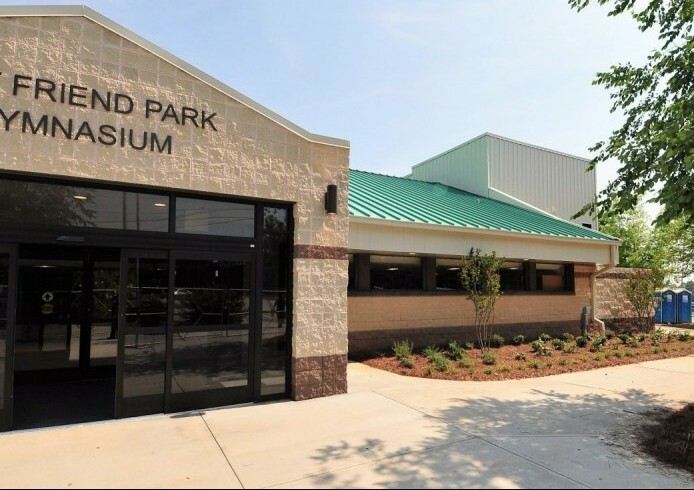 Best Friend Park was built in the 1970’s and has provided recreational opportunities to the Norcross area for decades. 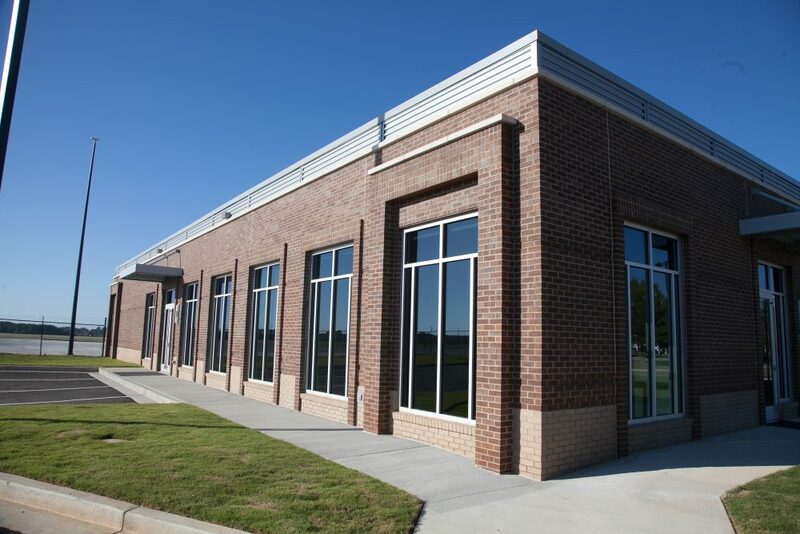 Our Scope of Work includes: roof replacement, new athletic wood flooring, demolition and reconstruction of the office area, addition of an elevator, new entrance, upgrading and replacing interior finishes, sitework and landscaping. 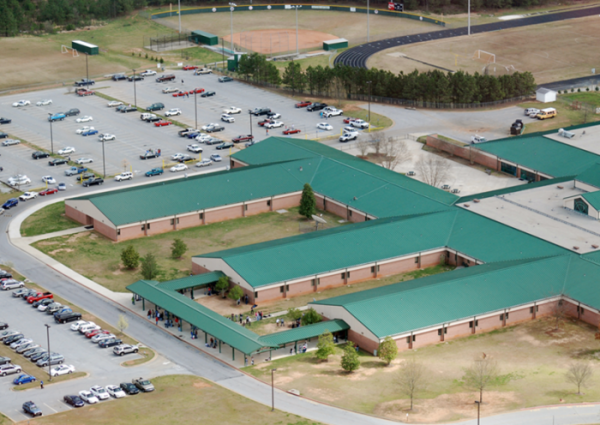 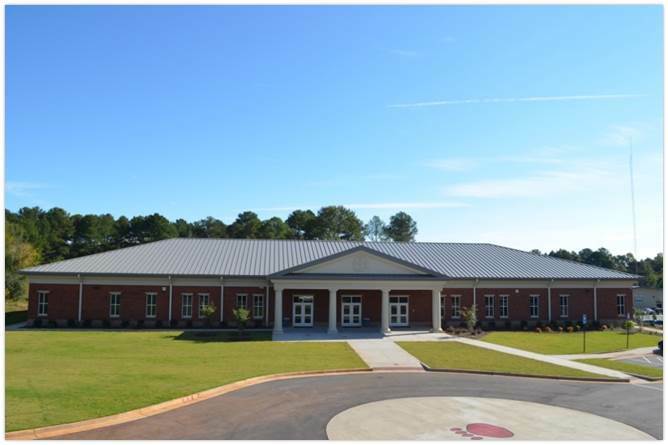 KPC completed a 58,505 SF renovation project at Kennedy Elementary School in Winder, GA. 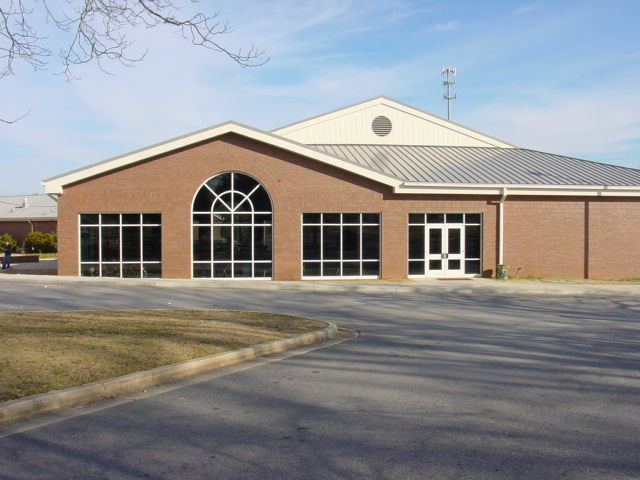 This facility was a one-story steel framed structure with masonry walls. 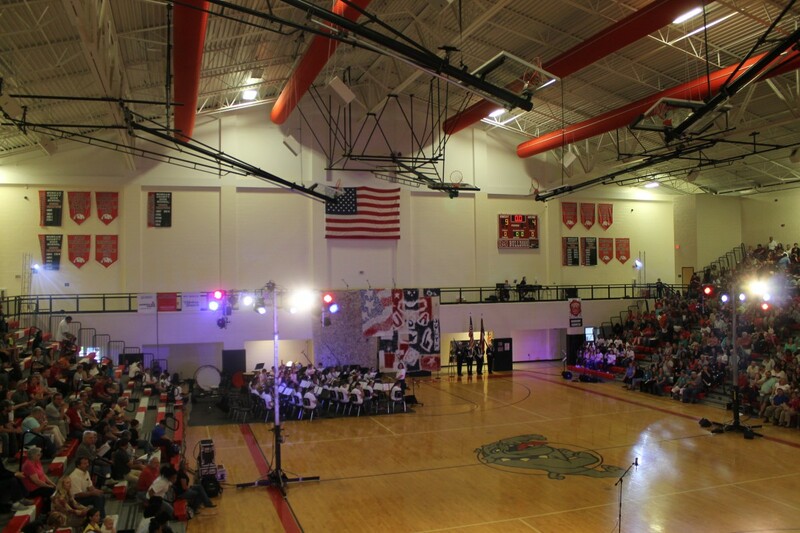 Scope of work for this project included demo and replacement of ceilings, lighting, electrical, mechanical, and roof. 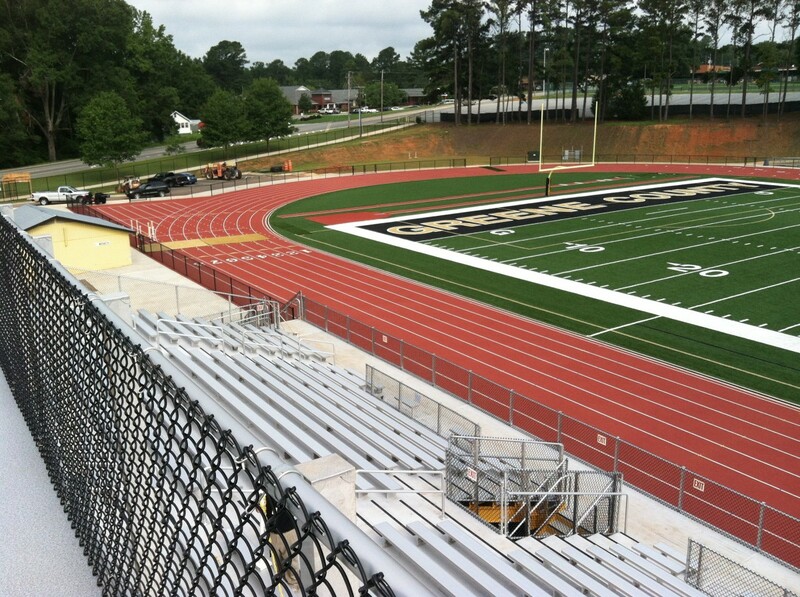 All work had to be completed during the summer break in order for the facility to be ready for the return of students in the Fall. 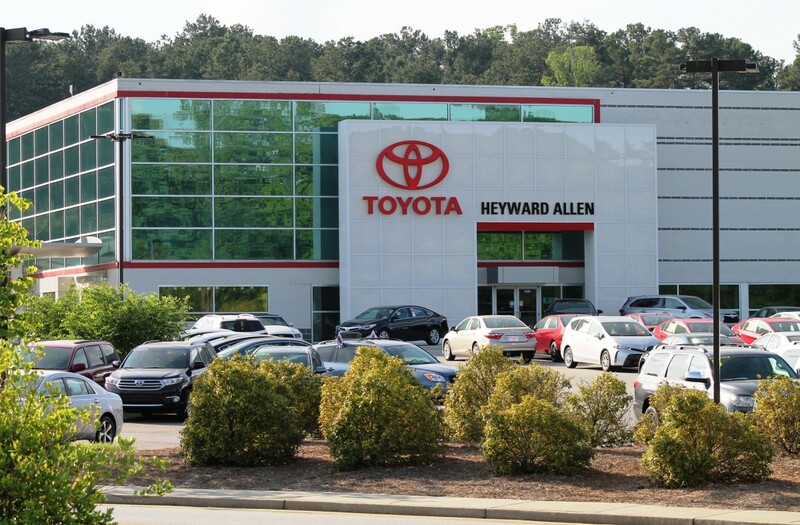 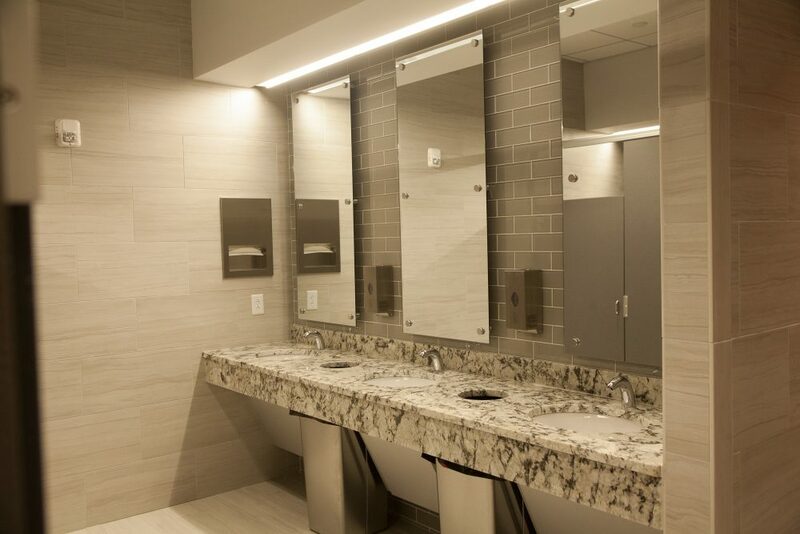 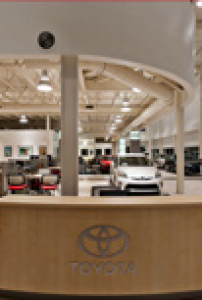 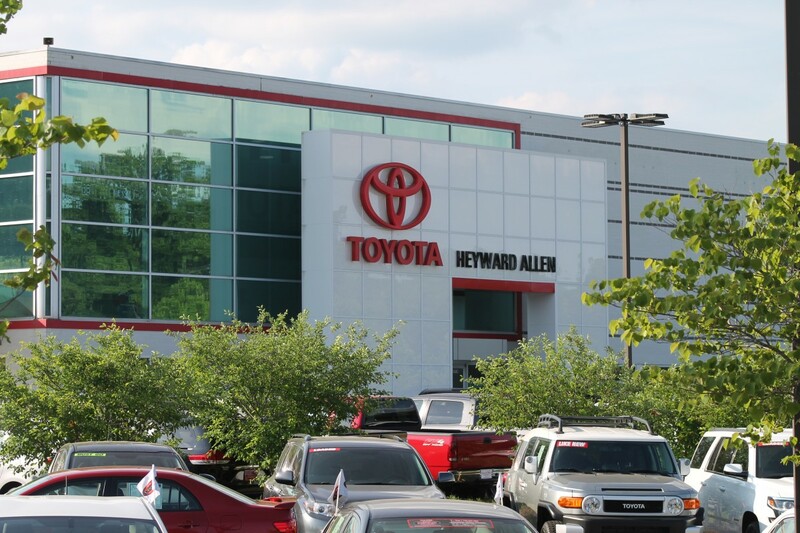 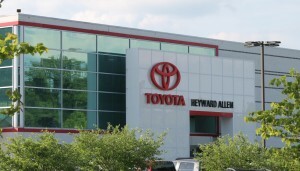 The 17,000-square-foot facility major renovation included a new climate controlled, four-stall vehicle delivery bay, children’s play area, three guest lounges, a café, office and reception areas, and modifications to plumbing, electrical and HVAC. 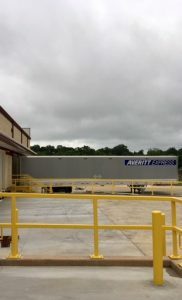 The project was performed on the active site as the business was open. 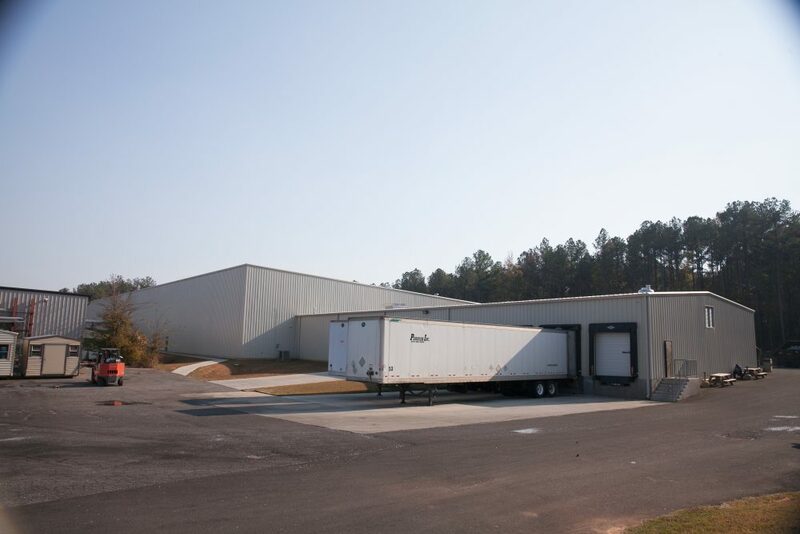 Various stages of construction were used to minimize the disruption of business. 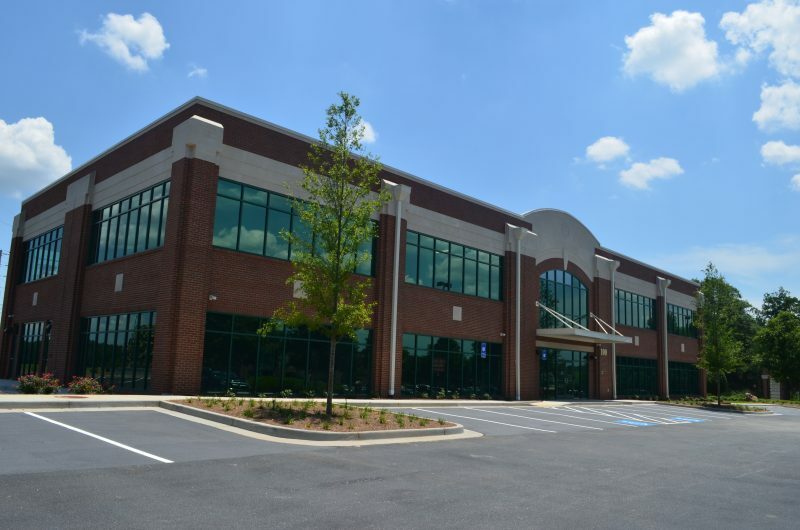 KPC completed a new 26,000 SF high-end office complex in Covington, GA. During sitework we encountered rock and had to flip the building footprint, which required significant coordination with parking and access. 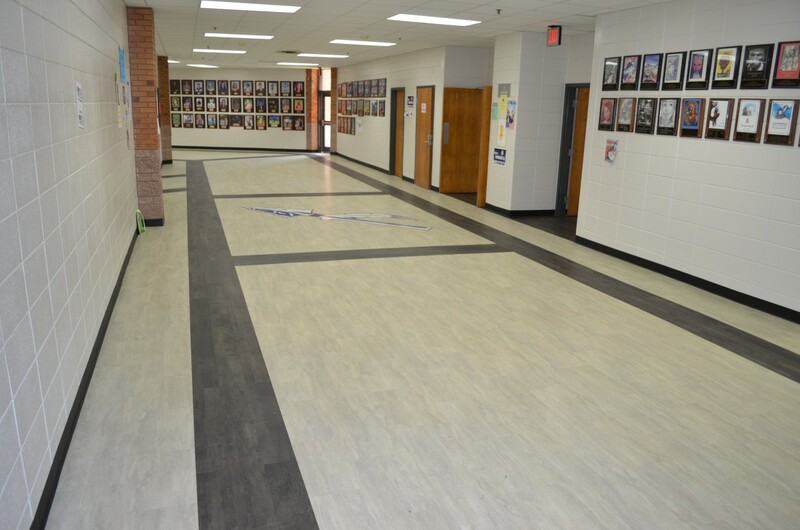 Despite the challenges, we were still able to complete this project on schedule. 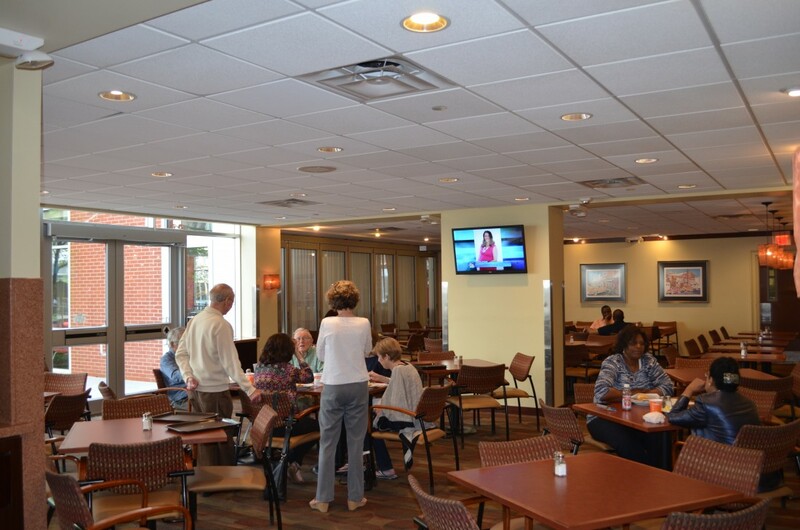 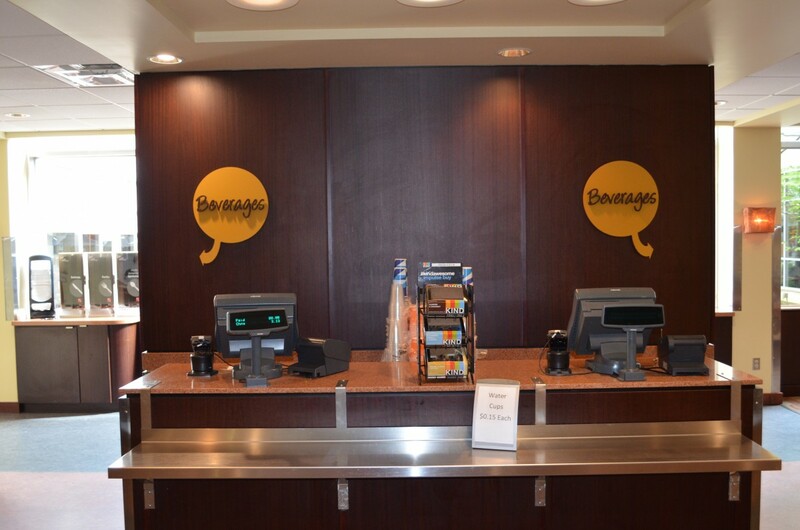 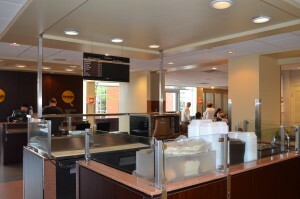 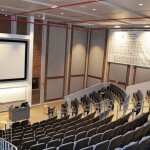 The University of Georgia selected KPC to complete a renovation of the Georgia Center’s kitchen and coffee shop. 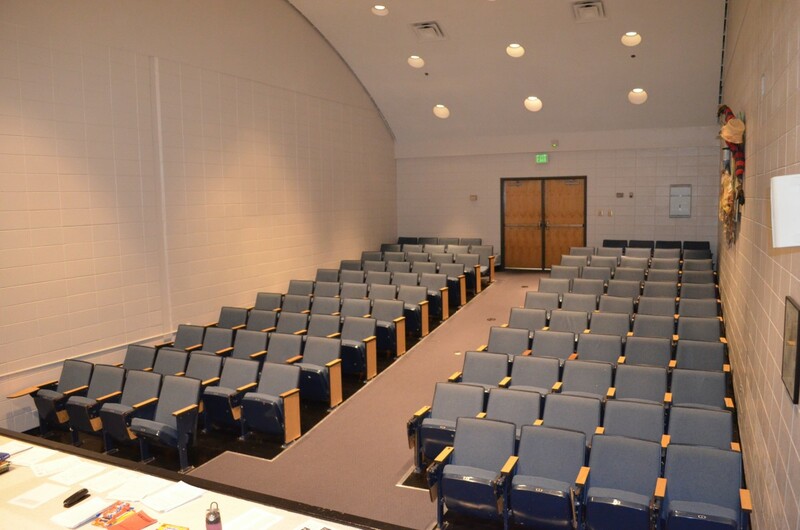 This project involved demolition, saw cutting, acoustical drywall, painting, electrical, and plumbing work. 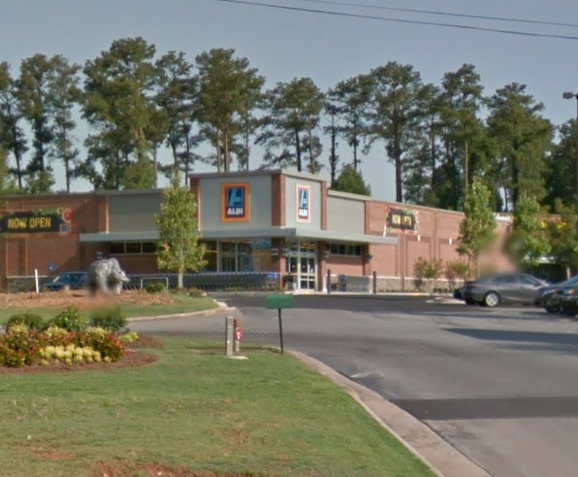 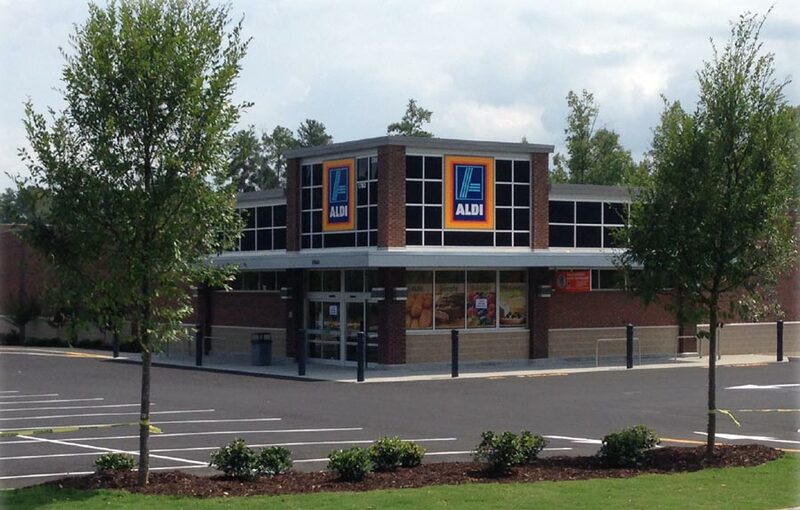 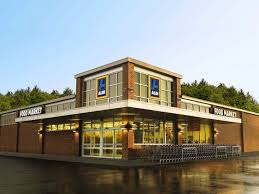 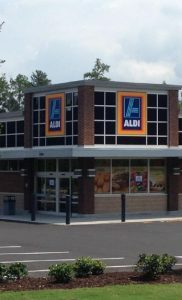 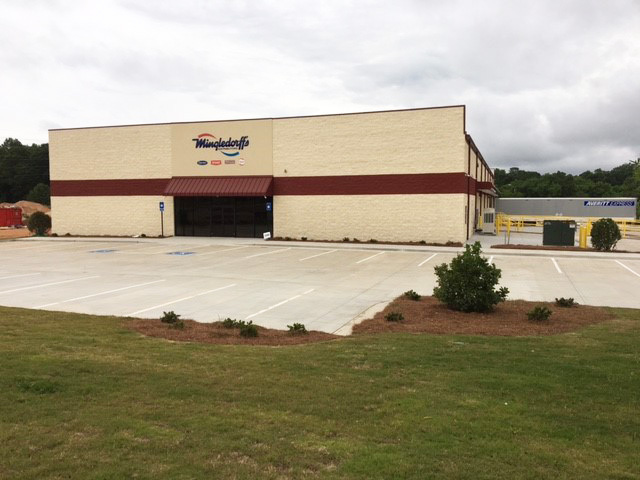 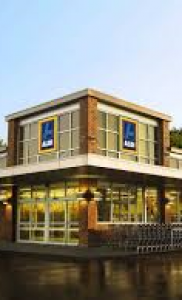 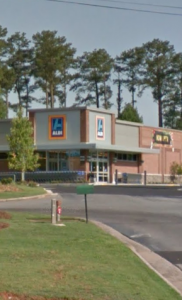 Kevin Price Construction served as General Contractor for 3 Aldi stores in Northeast Georgia. 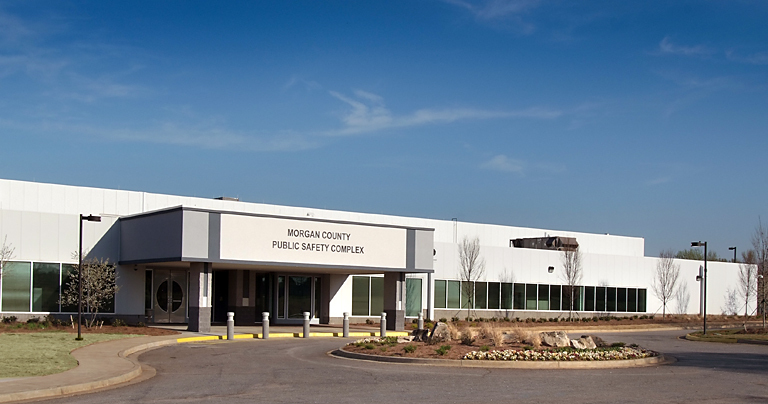 Work completed on these projects included site demolition and grading, storm drainage, site utilities, paving, landscaping and irrigation, sidewalks, rebar, drywall, ceilings, flooring, plumbing, HVAC, fire protection, and electrical. 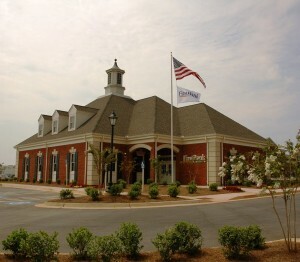 Easley Commons, an 11,400 SF retail shopping center, is located in Easley, SC, a suburb of Greenville. 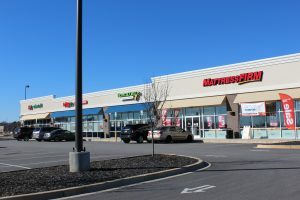 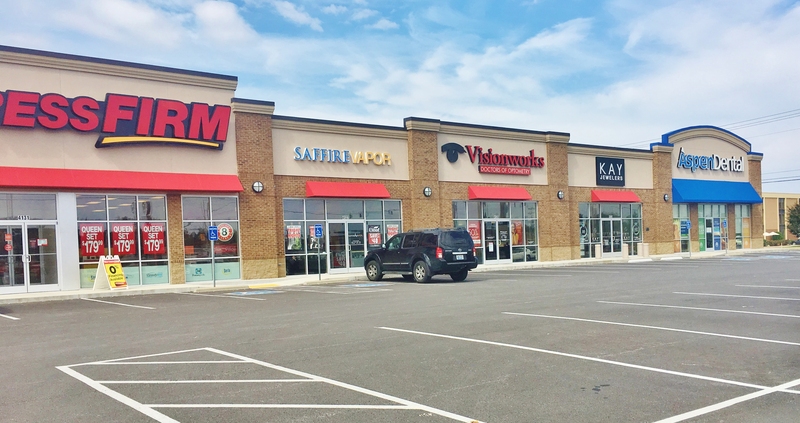 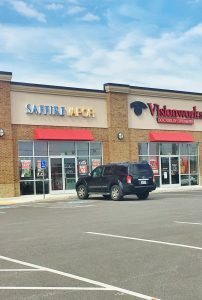 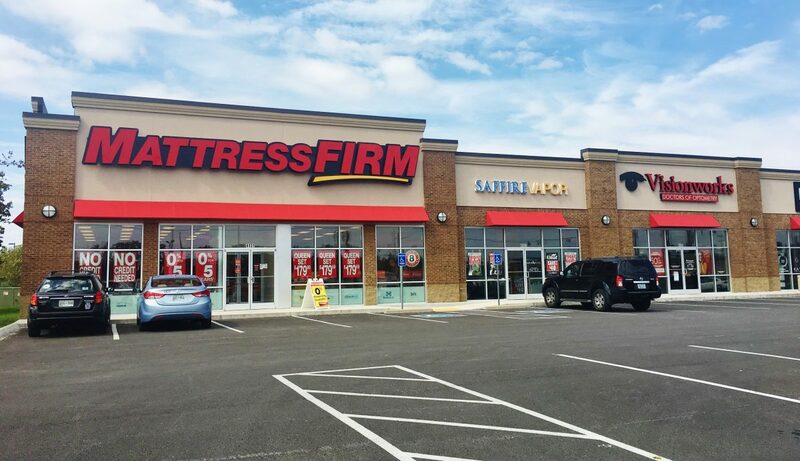 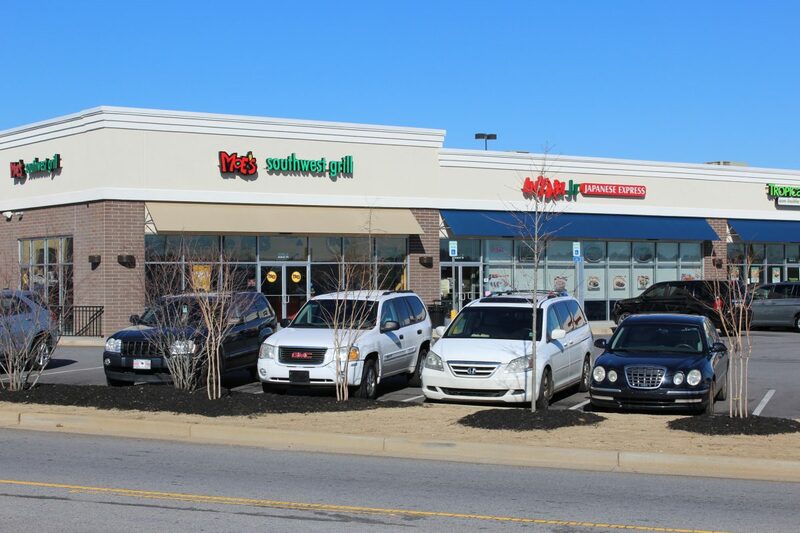 Current national tenants include Mattress Firm and Moe’s Southwest Grill. 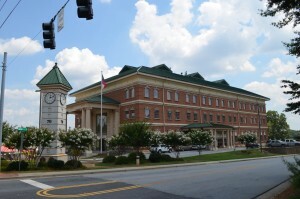 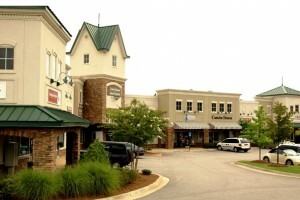 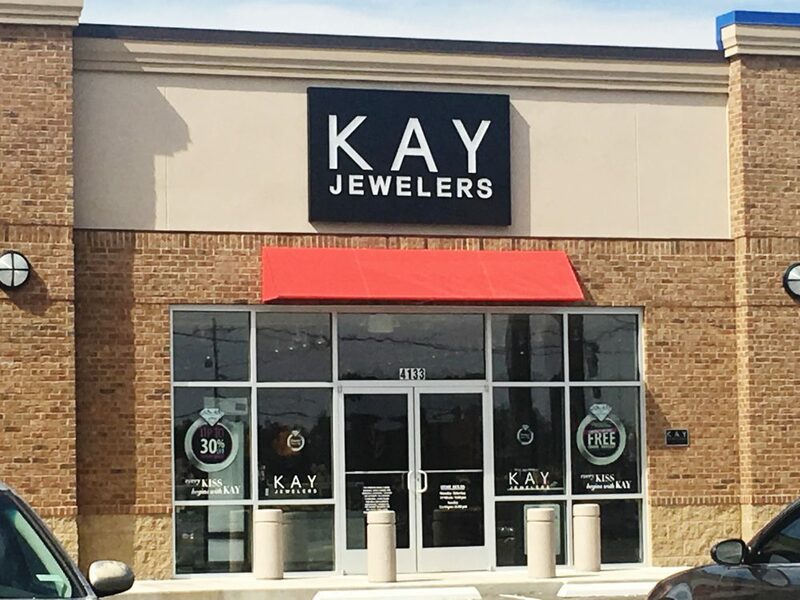 Easley Commons is a real estate holding of KPGC Properties. 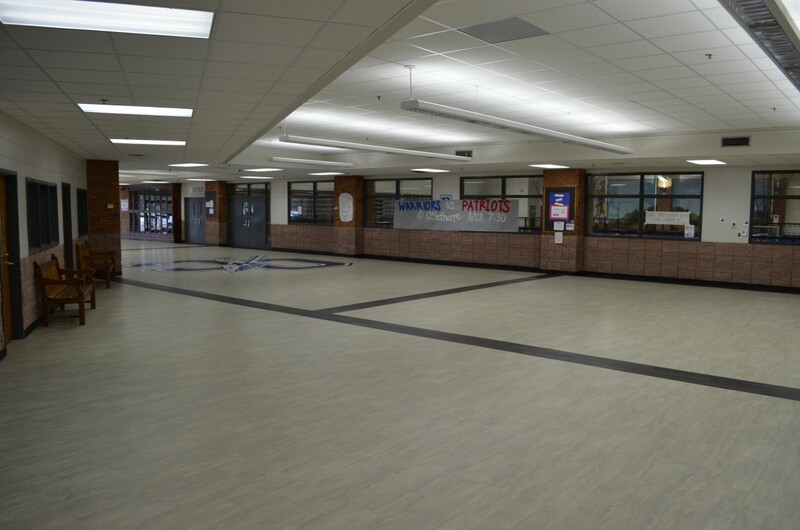 The project involved removal of existing seating, railings, casework, flooring and ceiling finishes. 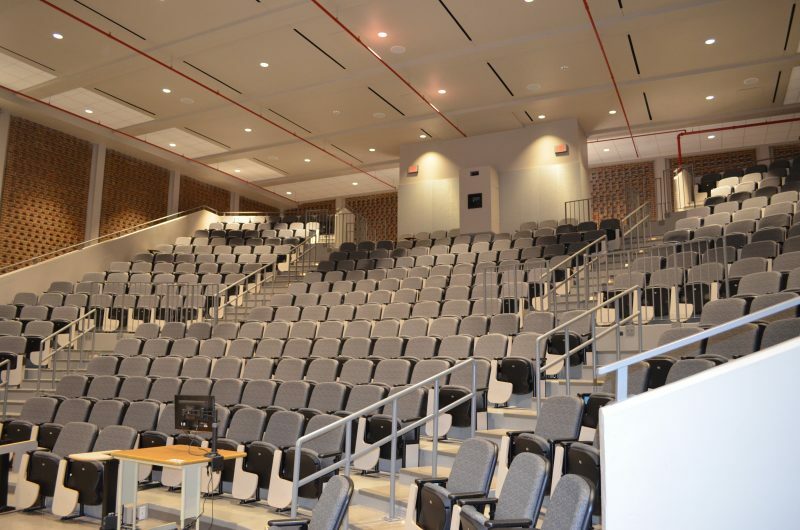 Seating, railing, casework, chalkboards, acoustical wall panels etc. 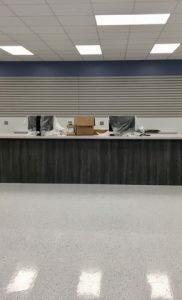 were removed first. 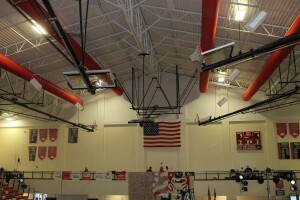 Scaffolding was installed to remove the existing ceiling. 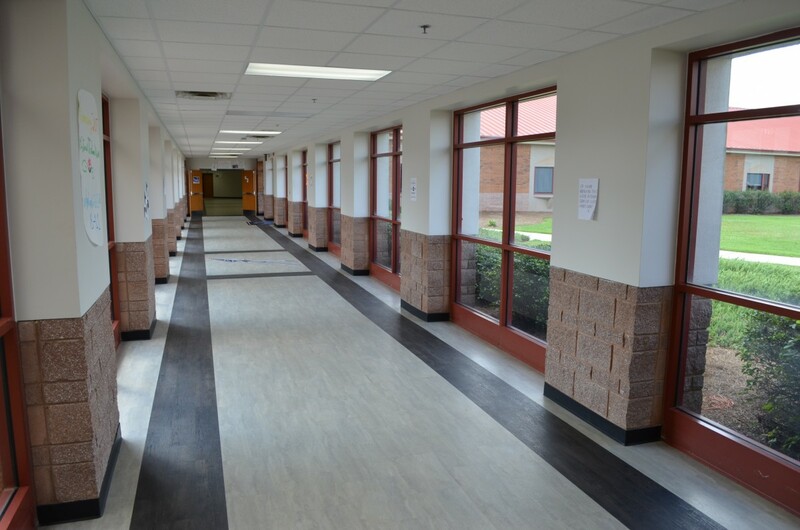 Plumbing rough in at the restroom, demolition on the lower level & corridors were concurrent with the upper level. 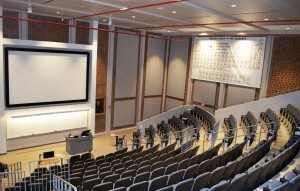 Above ceiling fire protection, electrical and mechanical, drywall and acoustical finishes were performed. 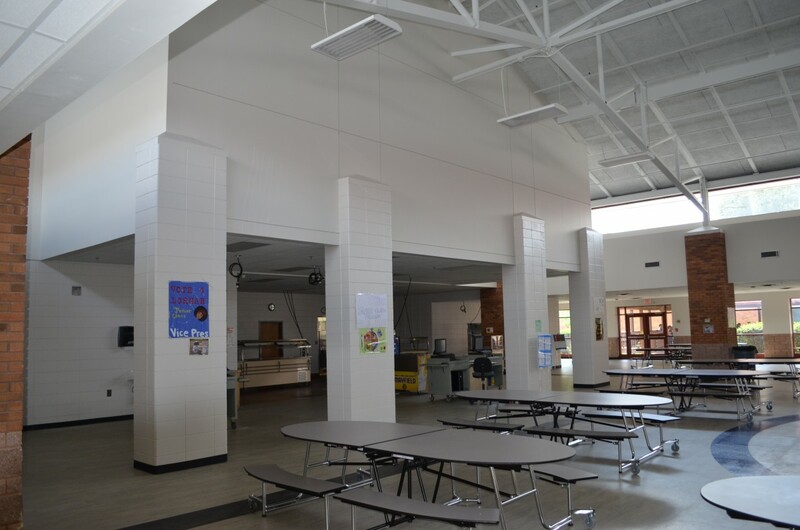 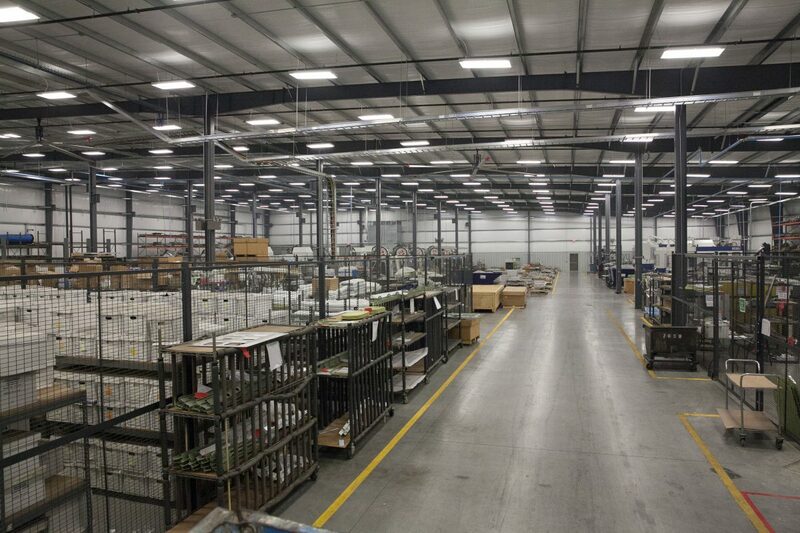 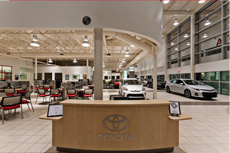 Light fixtures, mechanical diffusers, grills and sprinkler system trim out were also completed. 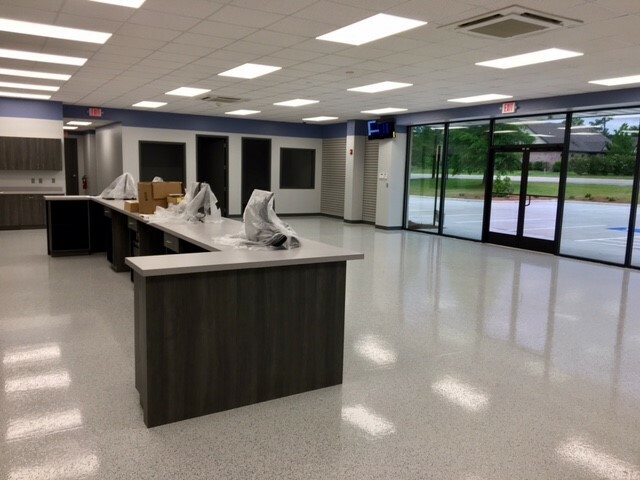 Testing, balancing, punch list, final cleaning, final inspections and occupancy permit were completed the last two weeks of July. 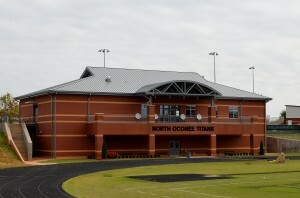 The building was turned over to the owner August 1, 2014. 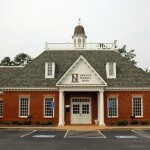 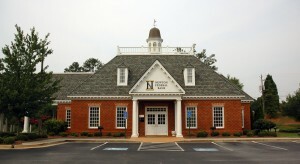 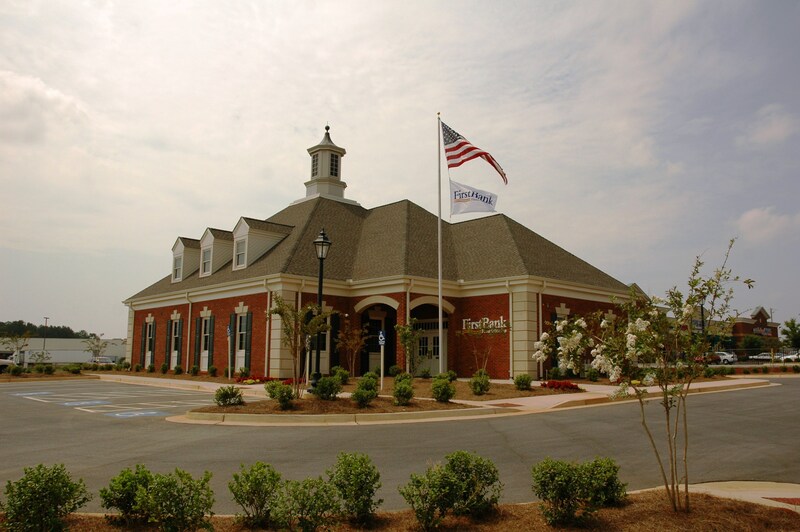 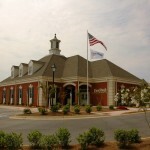 Ground up new construction of a bank in McDonough, GA.
24000 SF, 2-story new construction. 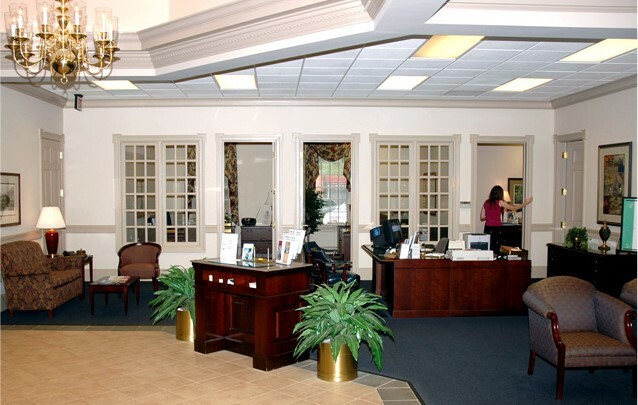 The design implemented wood trim features with vaulted ceilings and significant marble and stone. 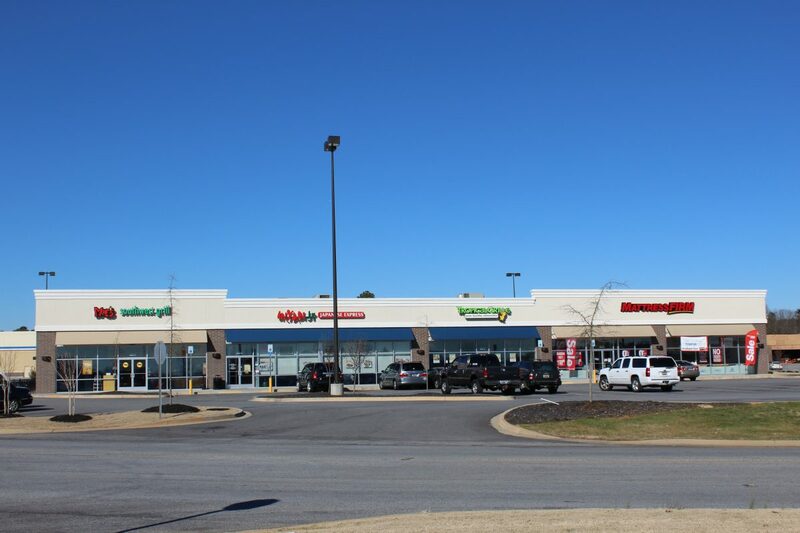 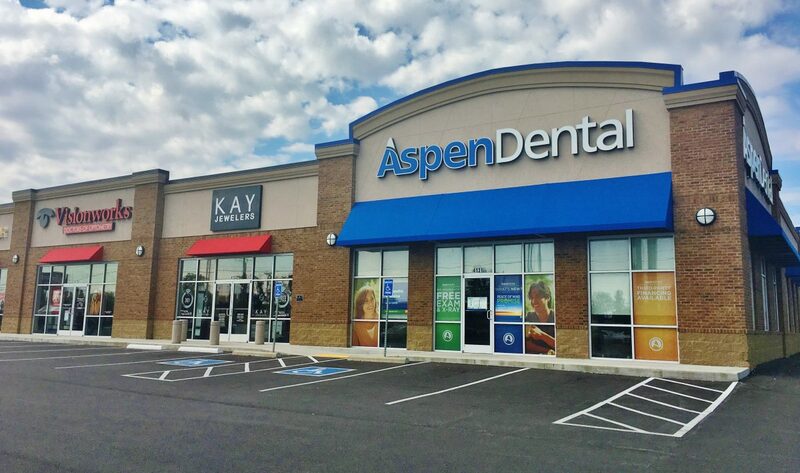 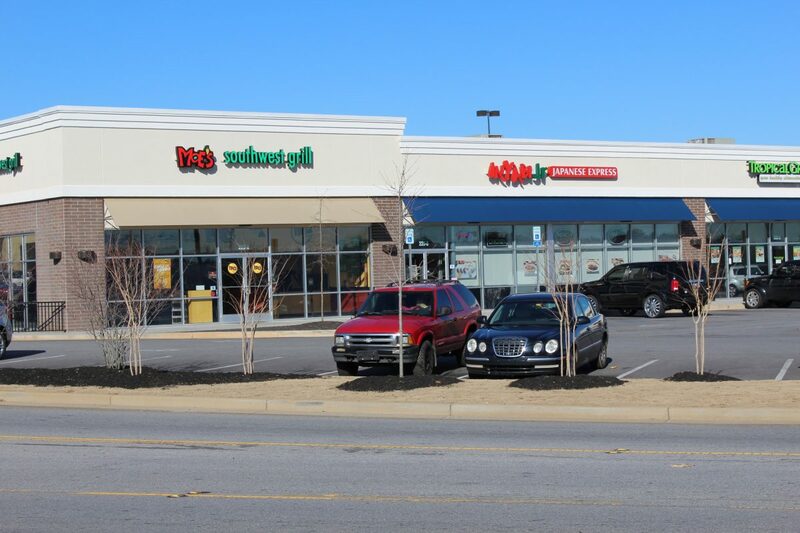 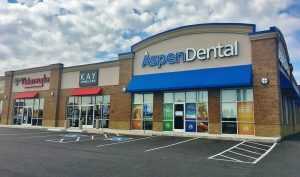 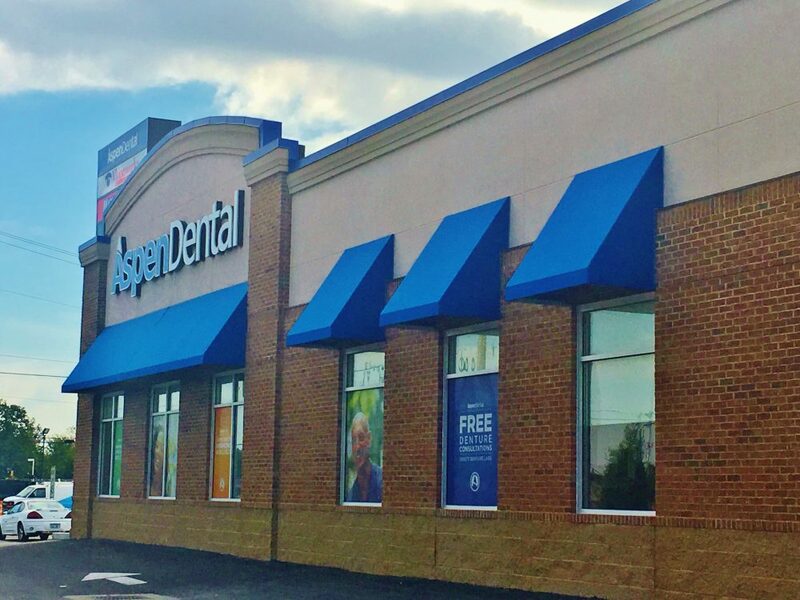 A 18,375 SF shopping center in Lake Oconee Village near Reynolds Plantation in Greene County. 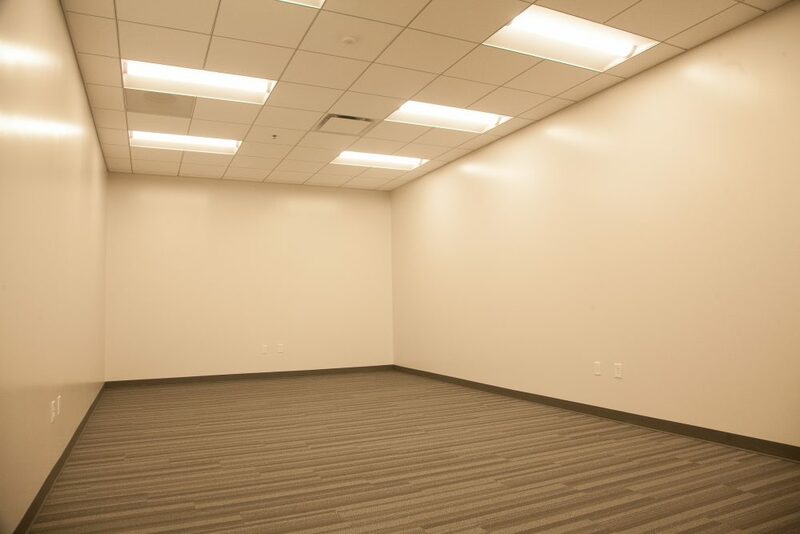 Suite sizes range from 1,220-2,695 SF. 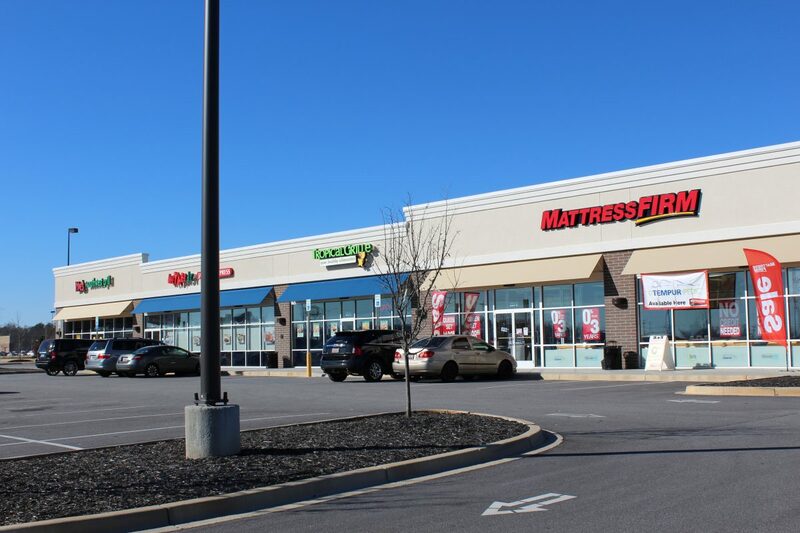 Current National Tenants include Verizon Wireless and Benjamin Moore Paint. 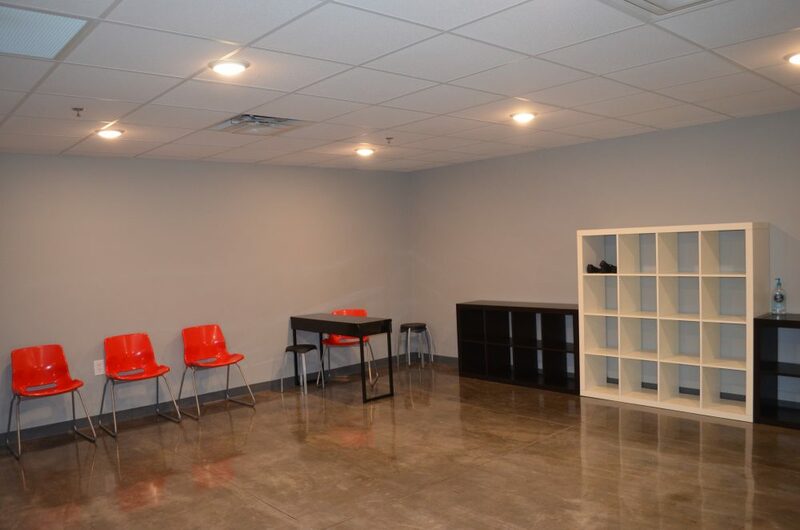 For information about lease space available in this center, please contact us. 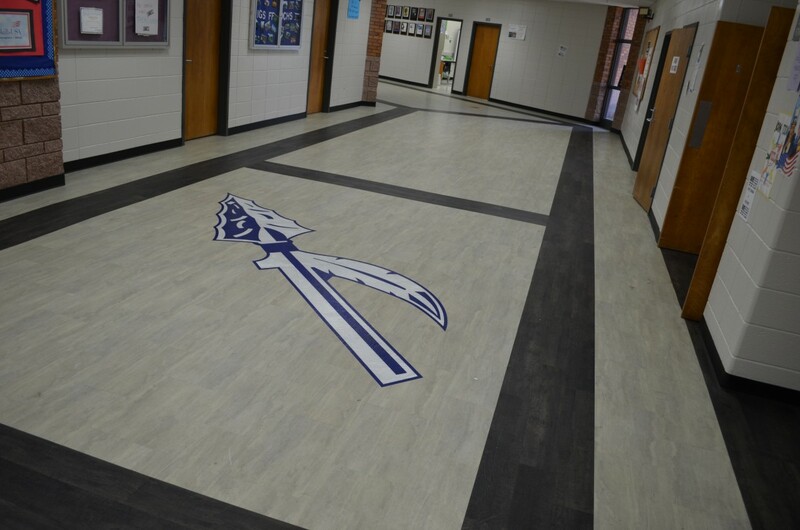 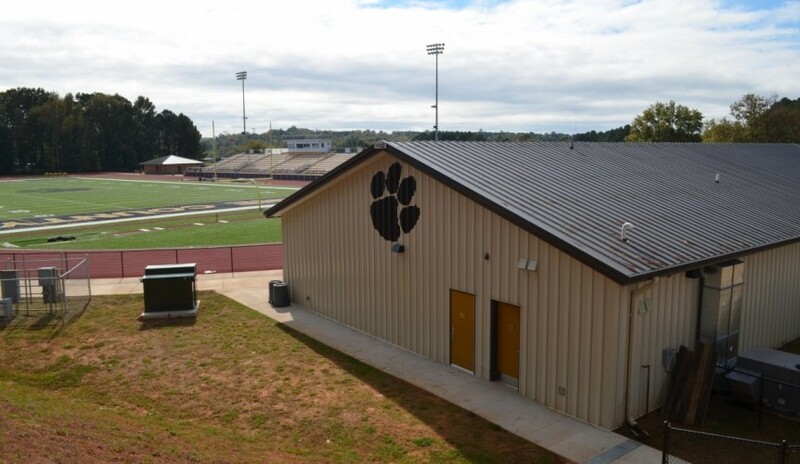 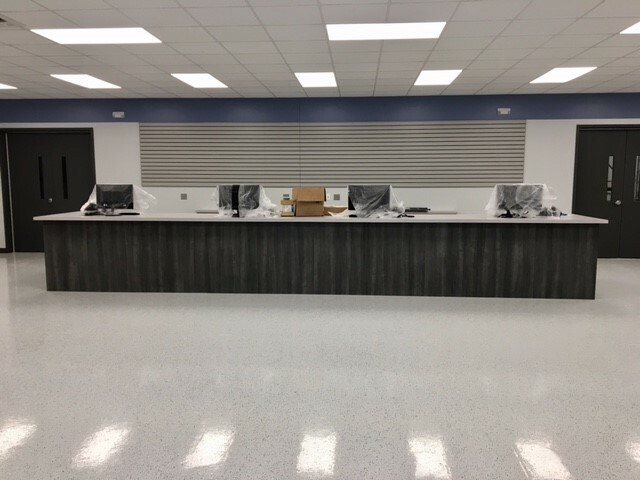 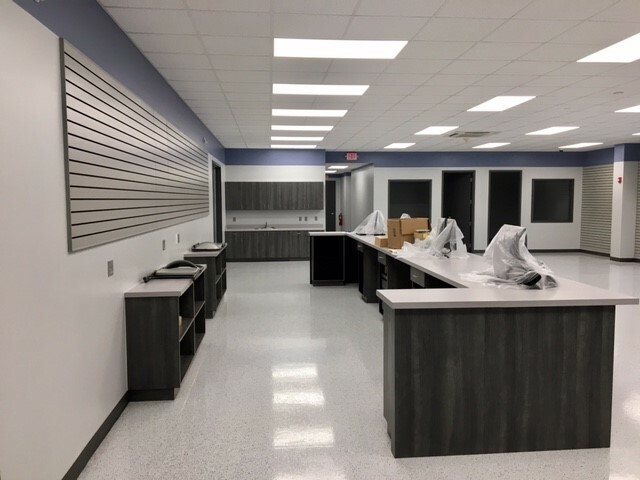 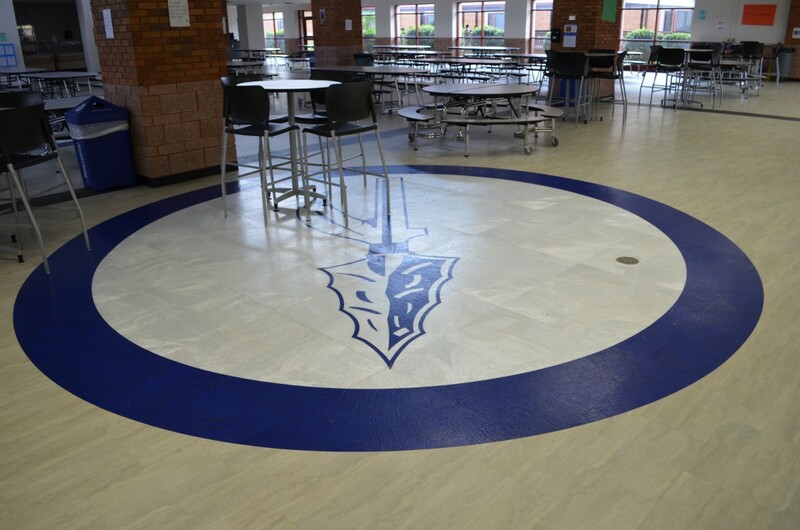 Kevin Price Construction completed a 20,000 SF addition involving the creation of new classrooms to Eastside High School in Covington, GA.
135,023 SF of alterations and additions to a 37 year old building in Conyers, GA. New additions included a Career Center and kitchen. 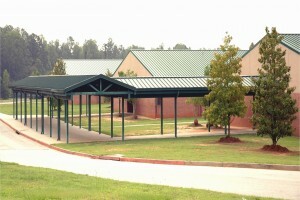 Scope of work included sitework, classroom additions, concrete slabs on grade, casework, and built up roofing. 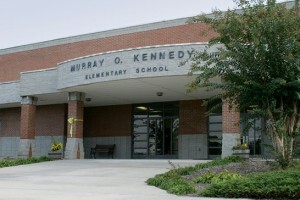 Electrical upgrades were made to the entire building and HVAC was replaced. 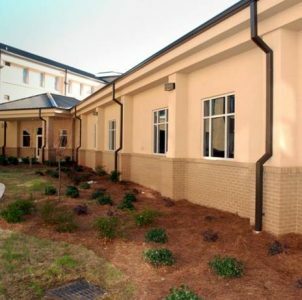 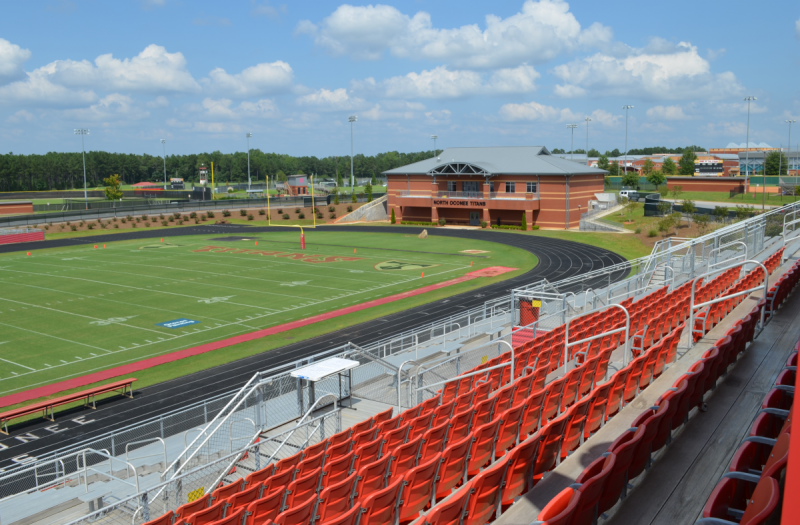 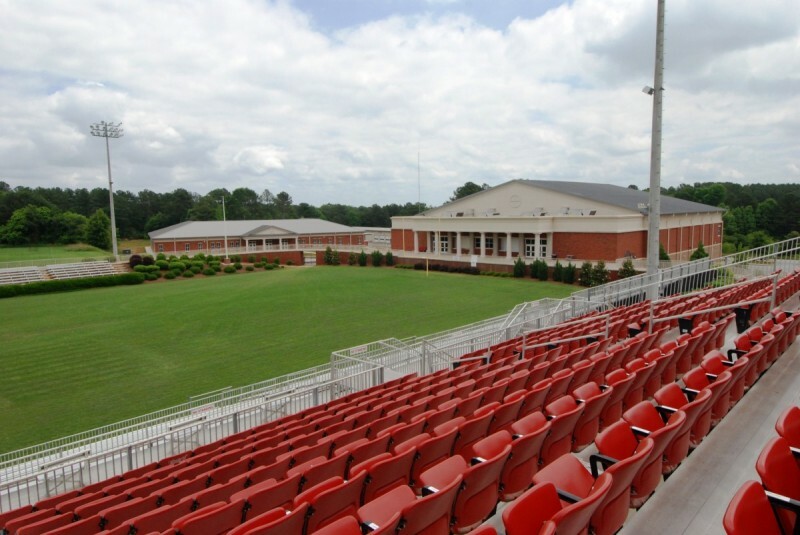 This project for Morgan County High School involved new construction of a 3,000 SF cafeteria in Madison, GA.
Kevin Price Construction completed construction of a 85,000 SF new elementary school with a 20,000 SF detached gym on a 26 acre site in Covington, GA. Work consisted of sitework and erecting the two new buildings complete with offices, classrooms, a cafeteria, a media center, and computer labs. 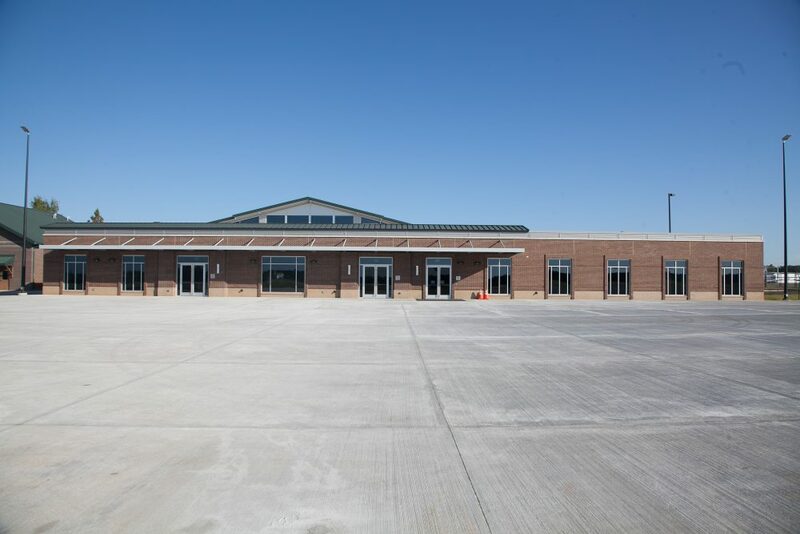 In spite of challenges that arose as a result of significant rock/blasting, KPC was able to complete the project on-time and the new facility was ready in time for school to begin in the fall. 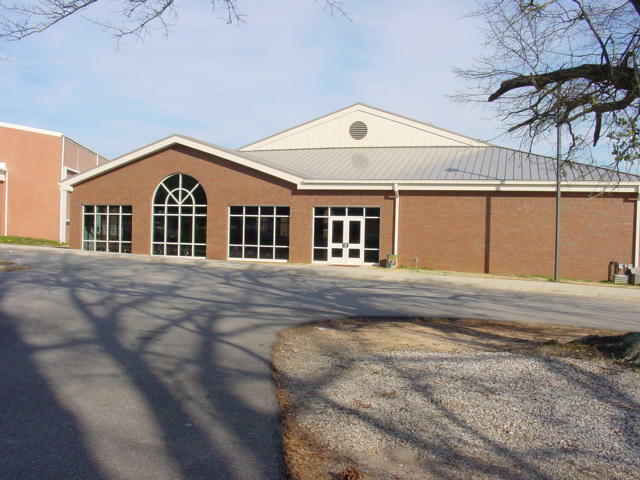 KPC served as CM at Risk in constructing 2 projects for Madison FUMC. 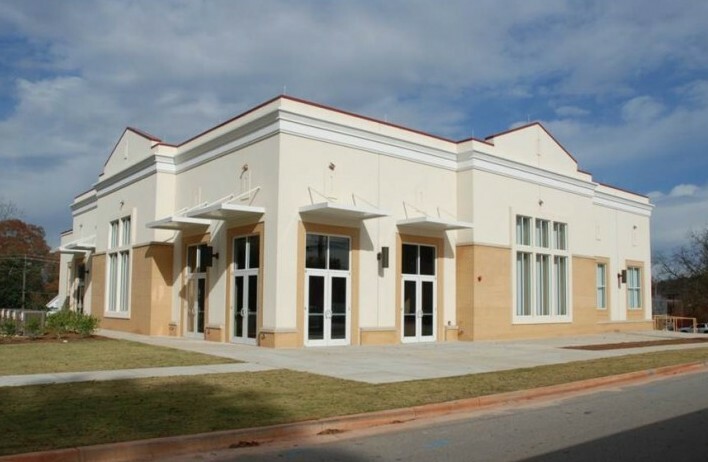 The first project was a new 17,000 SF Fellowship building in the heart of the Madison Historic District. 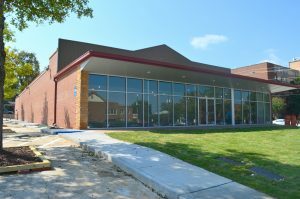 The City of Madison Historic Design Commission approval and supervision was required throughout the project. 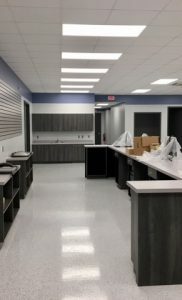 Due to site considerations and historic aspects, challenges were abundant; however, we were able to complete a state of the art building under budget with the use of value engineering and persistent attention to detail. 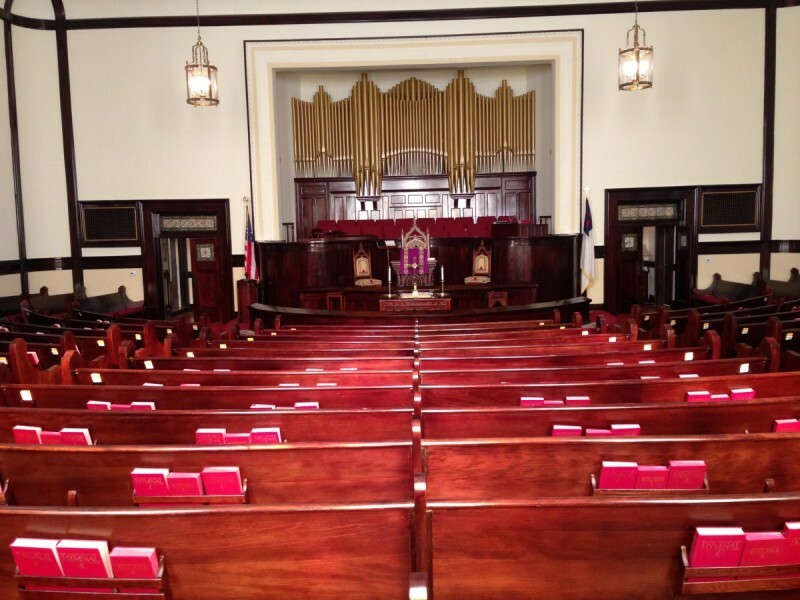 The second project involved restoring a 99 year old original sanctuary building that required upgrading to code while maintaining the historic integrity. 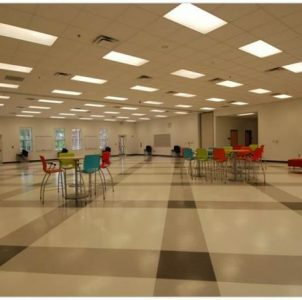 The 6 month project was reduced to 3 months with value engineering. 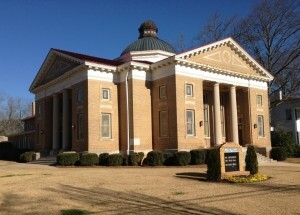 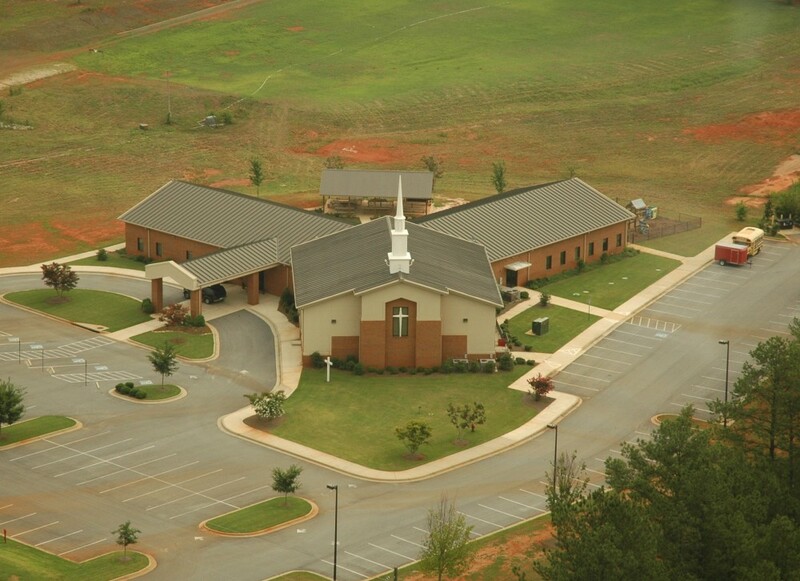 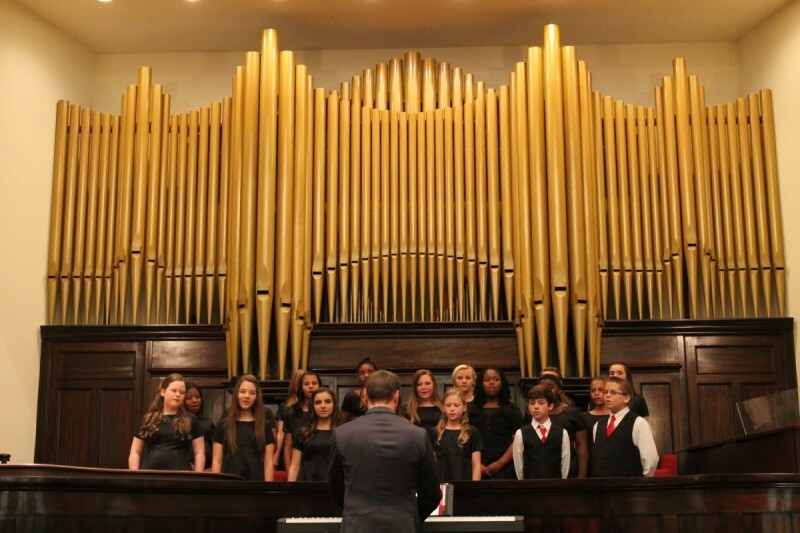 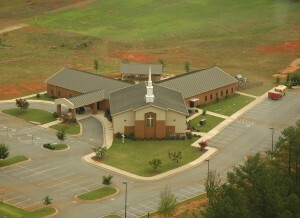 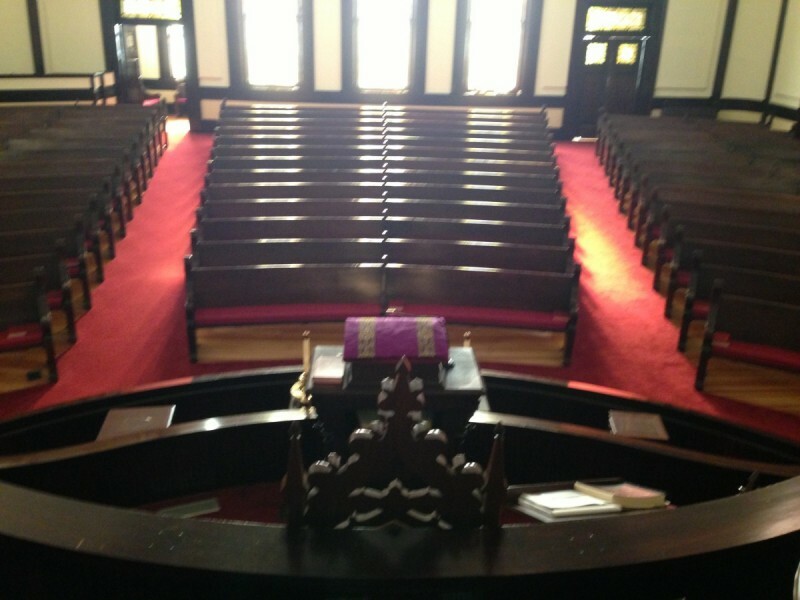 The building’s historic integrity was maintained and KPC exceeded the congregation’s expectations. 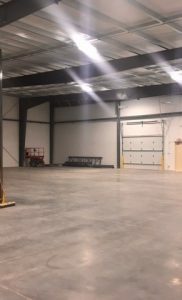 13,000 SF Design-Build CM at risk project. 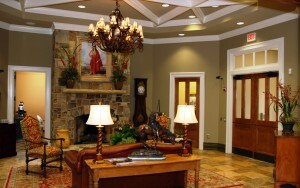 This is a state of the art hospice/medical facility with high end finishes and multi-room residential quarters. 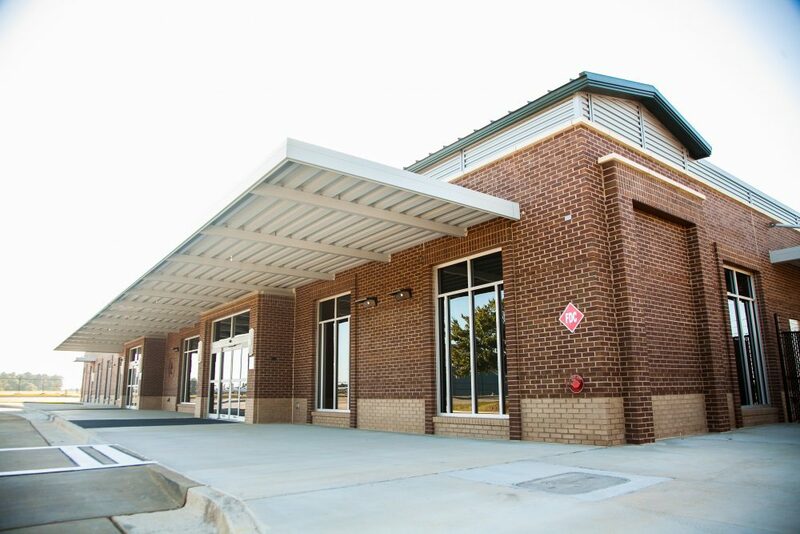 KPC was able to value engineer during pre-construction in order to reach the owner’s budget. 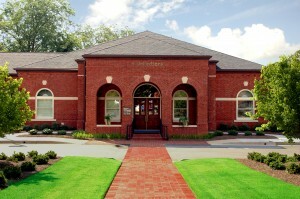 KPC completed a 28,000 SF renovation of this historic building in the town square of Covington. 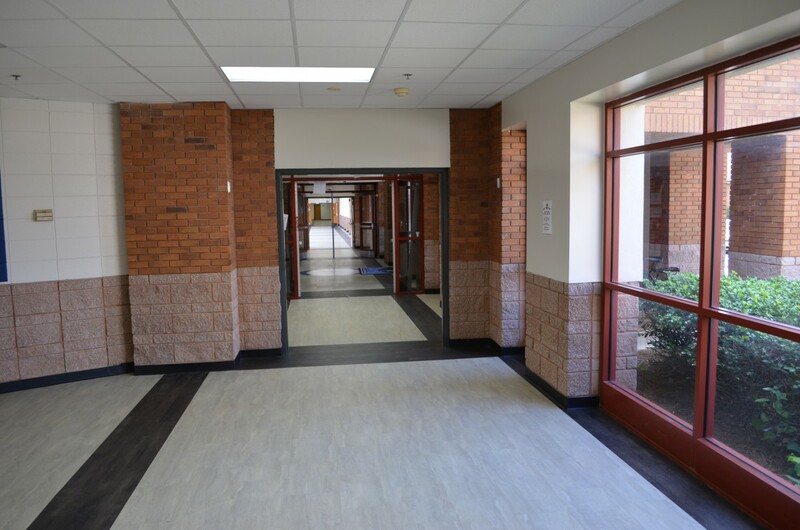 The project involved removing significant portions of the wooded floor system and replacing these with new concrete foundations. 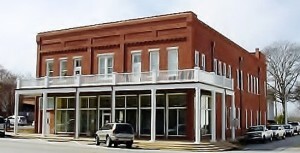 Considerable shoring and bracing of the second and third floors was required. 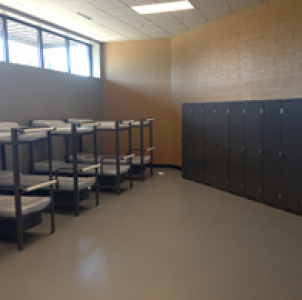 New mechanical, electrical, and plumbing systems were installed. 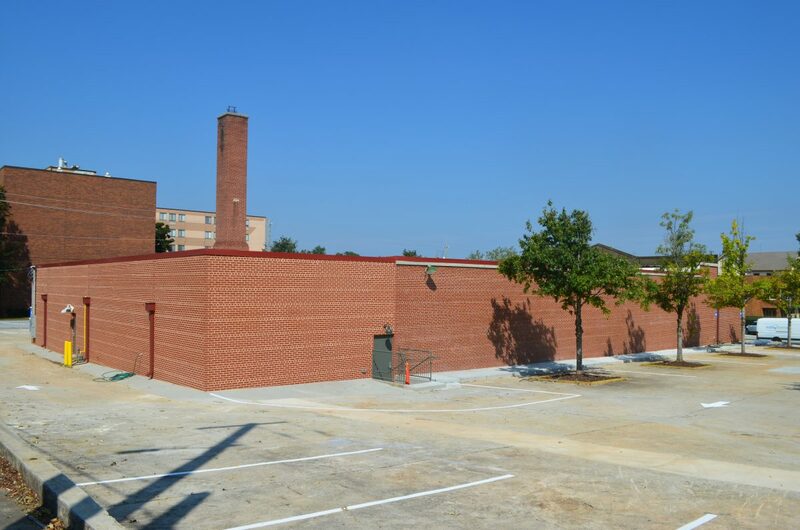 The project also required detailed pointing of mortar in the old brick and mortar. 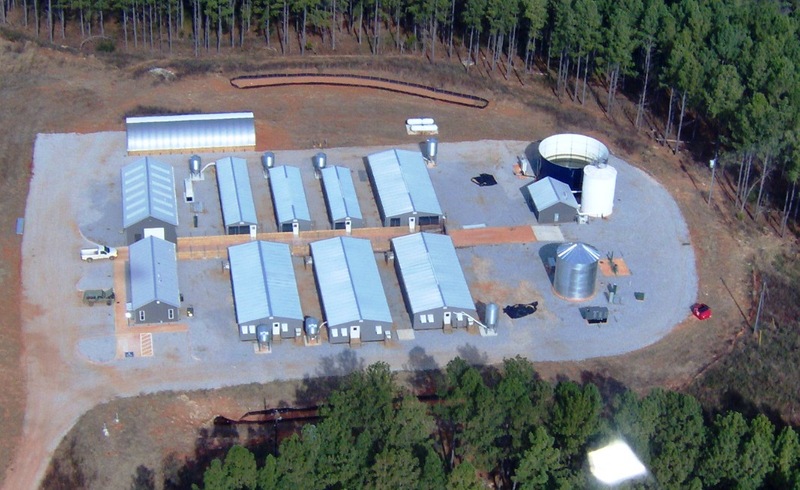 KPC served as the general contractor in the building of UGA Double Bridges Swine Farm-Swine Research Facility in Watkinsville, GA. 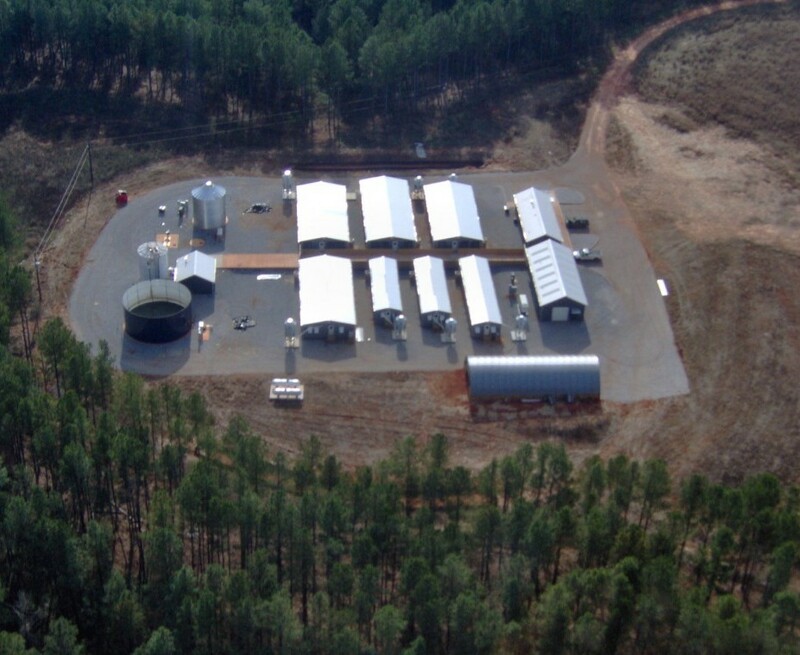 Scope of work included utility infrastructure, sitework, building construction, rainwater harvesting, and animal waste facilities. Of particular importance was the implementation of the anaerobic digester, which extracts methane from the animal waste using a series of mixing motors, chopper pumps, bio gas boilers, mixing nozzles, temperature sensors, water loop plumbing kits, heat dump radiator, tube in tube heat exchangers, and expansion tanks. 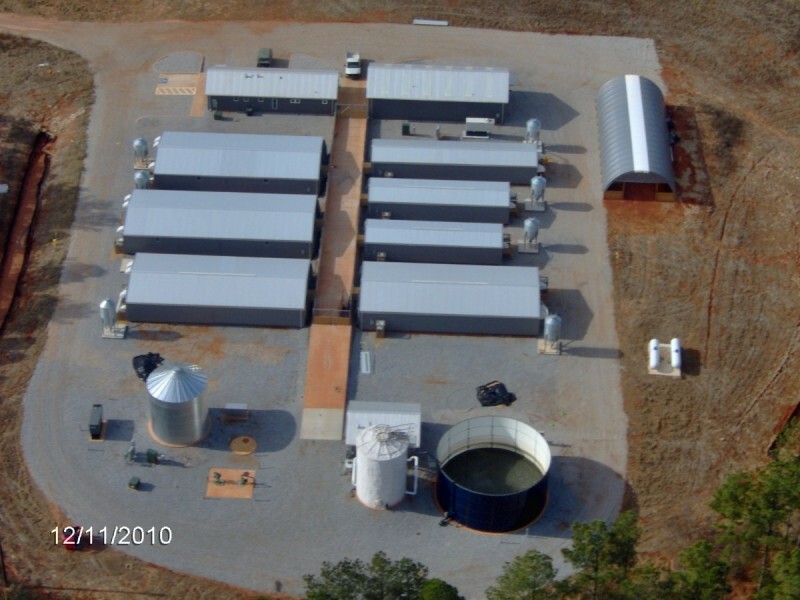 The water is sent to a slurry storage container before finally being discharged onto cultivated fields that recycle nutrients for the production of hay, silage, and cereal crops needed by other animal units. 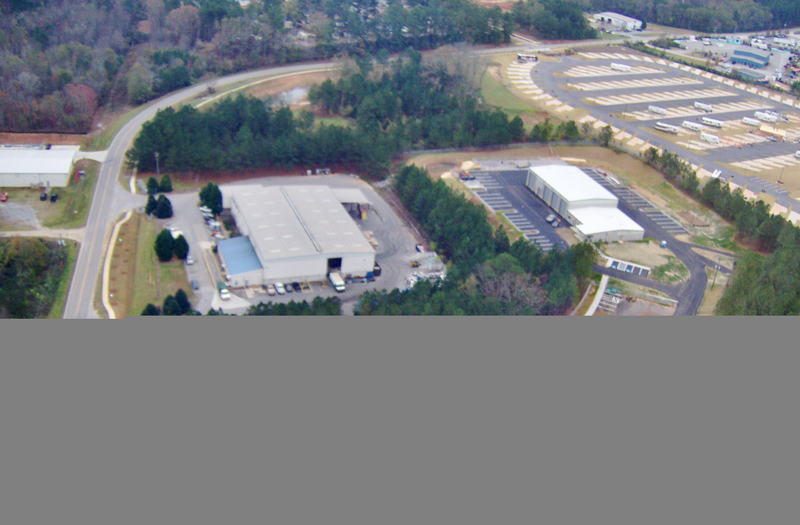 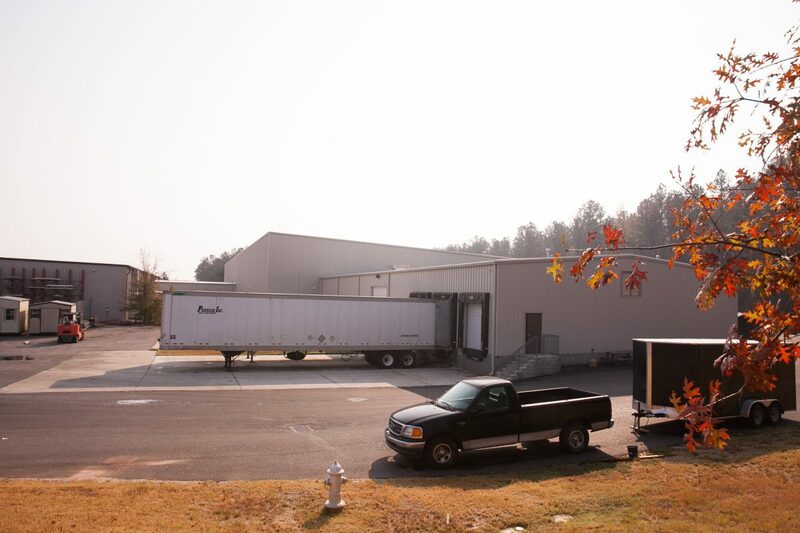 For this project, KPC created a new Solid Waste Facility for Athens-Clarke County. 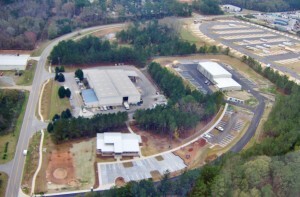 The new facility allowed for the consolidation of all Solid Waste Administration, Staff, and operations in one location. 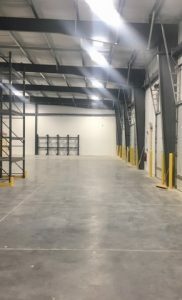 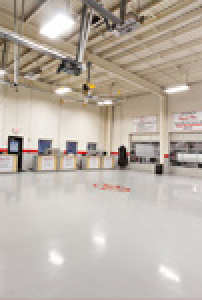 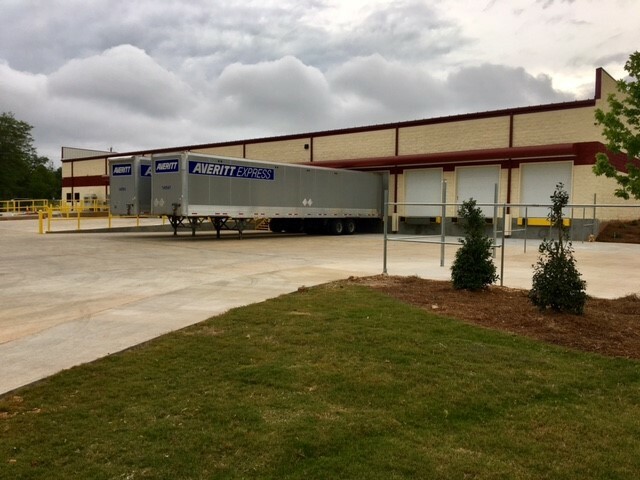 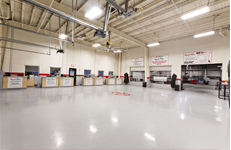 The project included two buildings, one of approximately 5,000 square feet of administration space, and a second building of approximately 13,000 square feet providing crew space, tool and tire storage, vehicle maintenance, shop office, a truck wash, and warehouse type storage space. 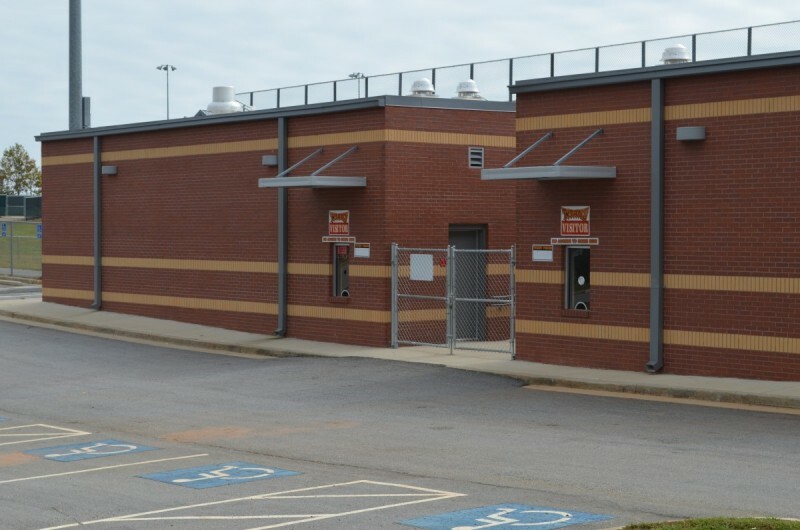 The Project also involved providing 98 parking spaces for personnel, visitors, and solid waste collection vehicles. 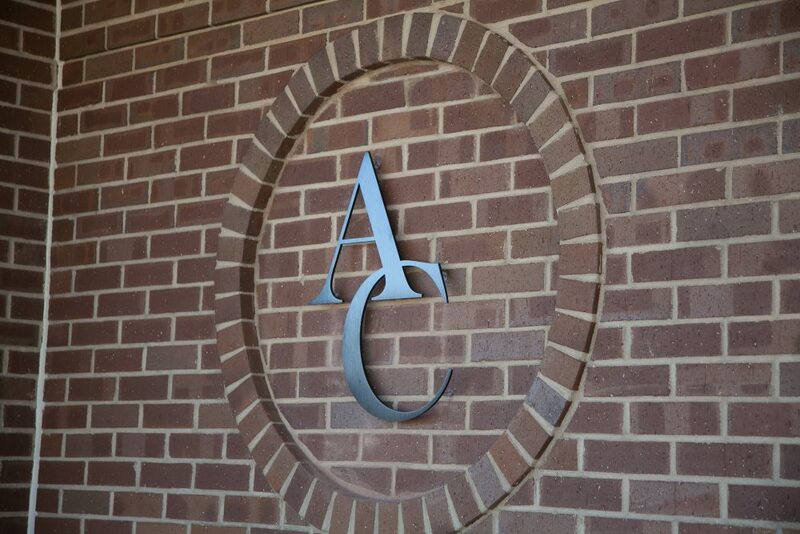 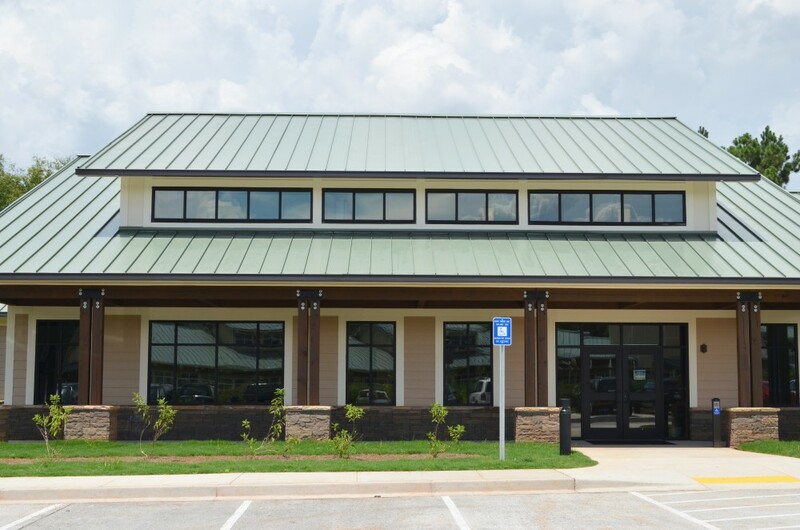 This was one of Athens Clarke County’s first LEED certified projects! 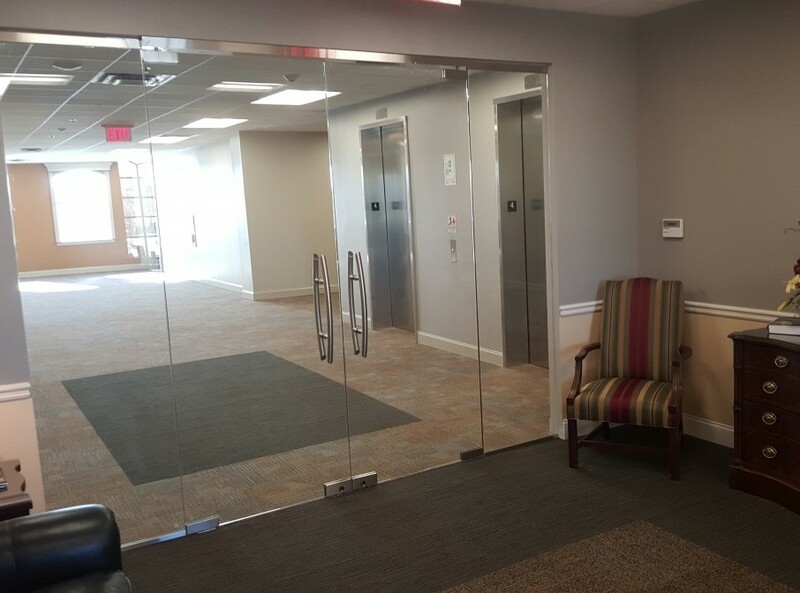 This project met the owner’s expectation on schedule and quality. 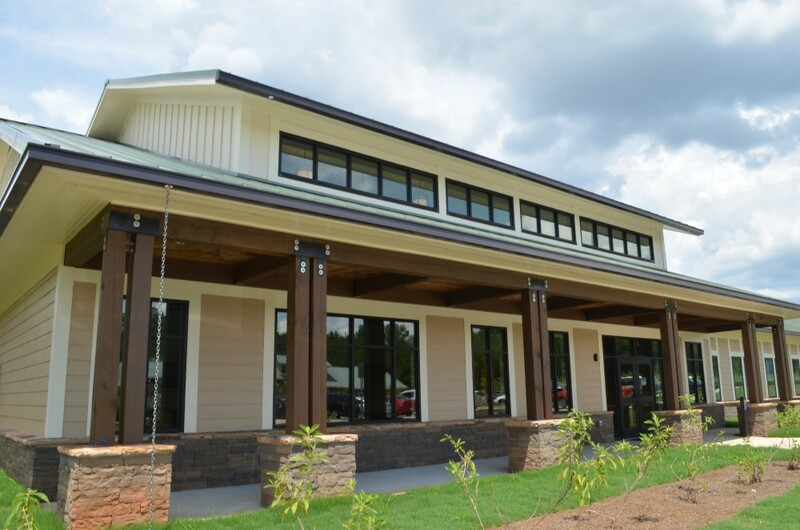 Kevin Price Construction completed work on a new, 24,000 SF single story steel and wood frame building for the Georgia DNR. 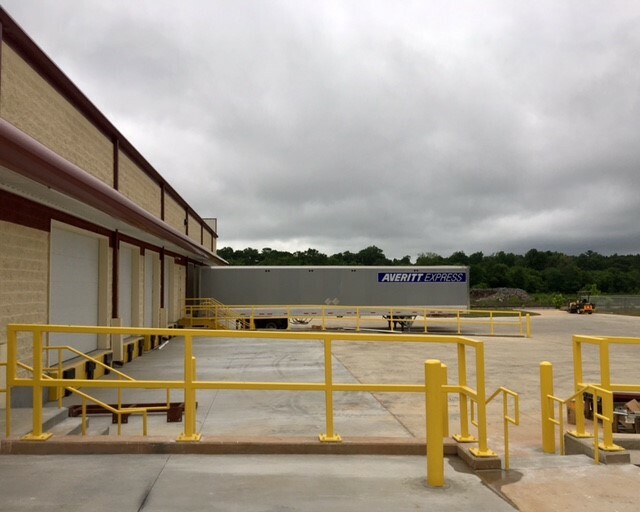 On this project, KPC encountered unsuitable soils and numerous Owner Changes; however, our team was able to work with the owner and deliver a quality product that all parties were satisfied with. This building achieved LEED Gold certification. 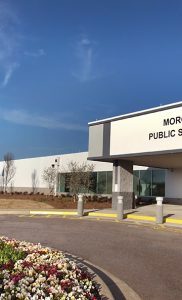 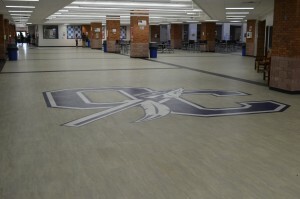 The Morgan County High School Gymnasium was a 39,318 square foot new building in the center of an existing, operating campus. 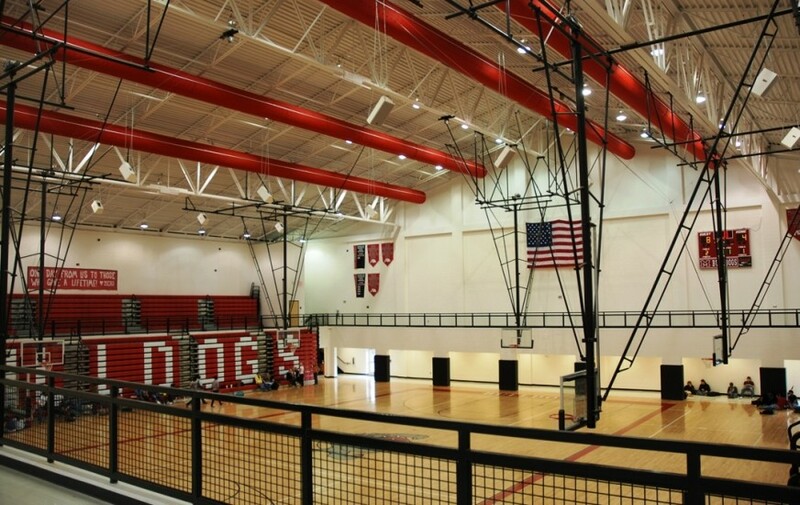 The building is a 2 story state-of-the-art gymnasium facility with elevated walkways to tie in to existing grandstands. 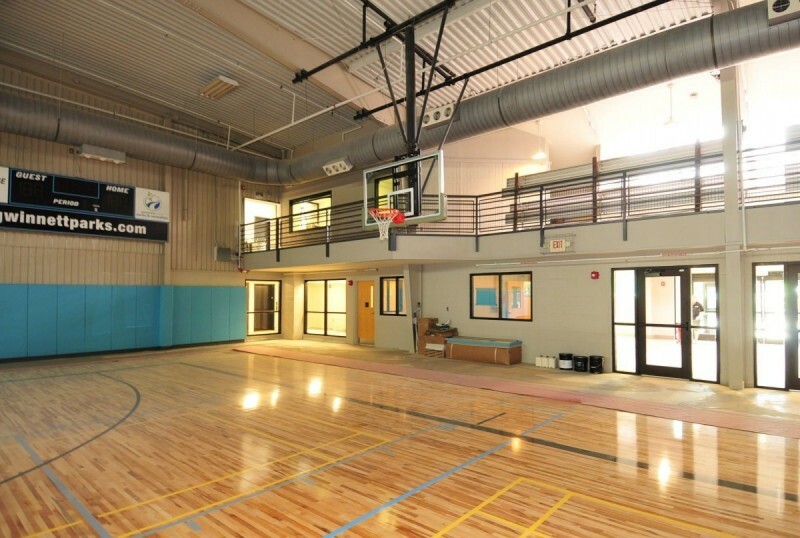 The gymnasium incorporated an elevator, wood sports floor, showers and locker rooms and full concession areas. 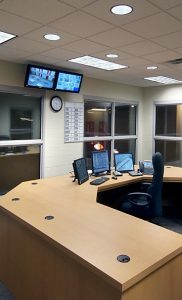 Our services included all aspects of management as well as value engineering and exceptional performance in the areas of cost, quality and schedule. 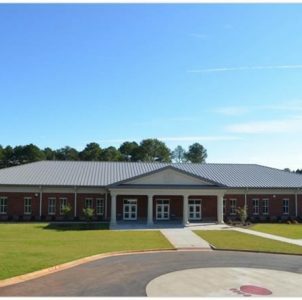 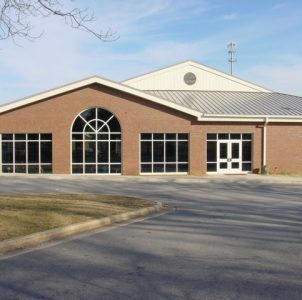 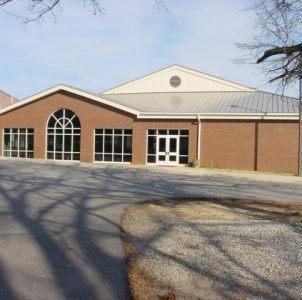 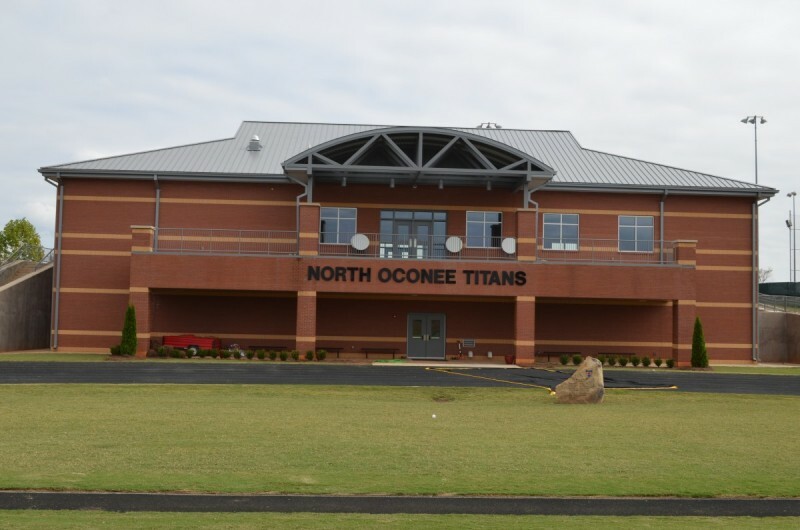 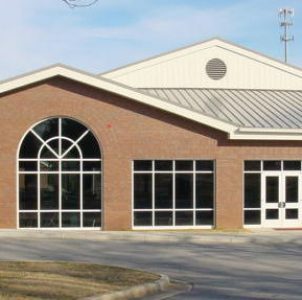 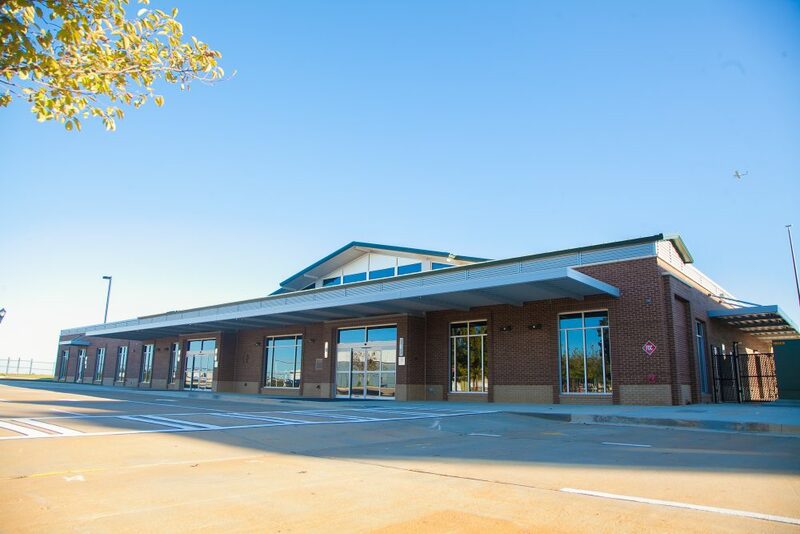 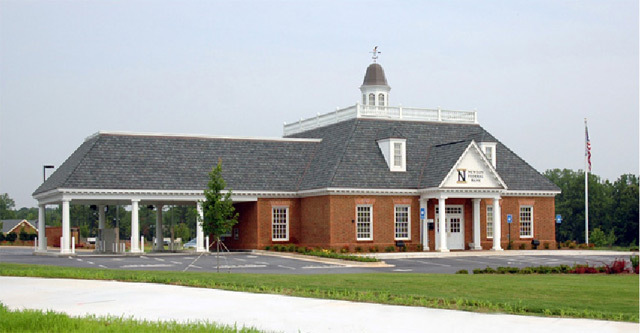 Architect: Manley, Spangler, Smith Architects, Inc.
KPC served as CM in the new construction of a 36,000 SF, 2 Story conventional steel building complete with metal roof trusses, office space, and meeting rooms for the Newton County Board of Education. 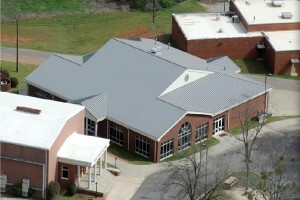 This project was built in the center of an educational complex.